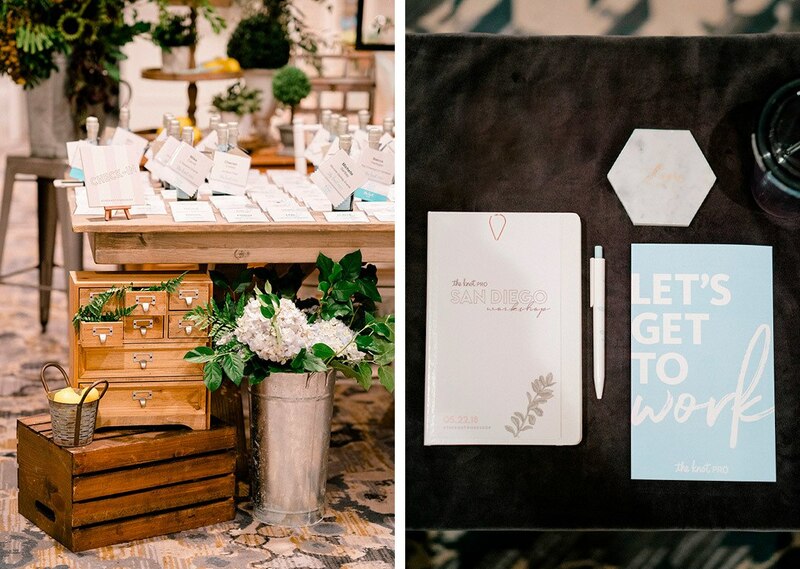 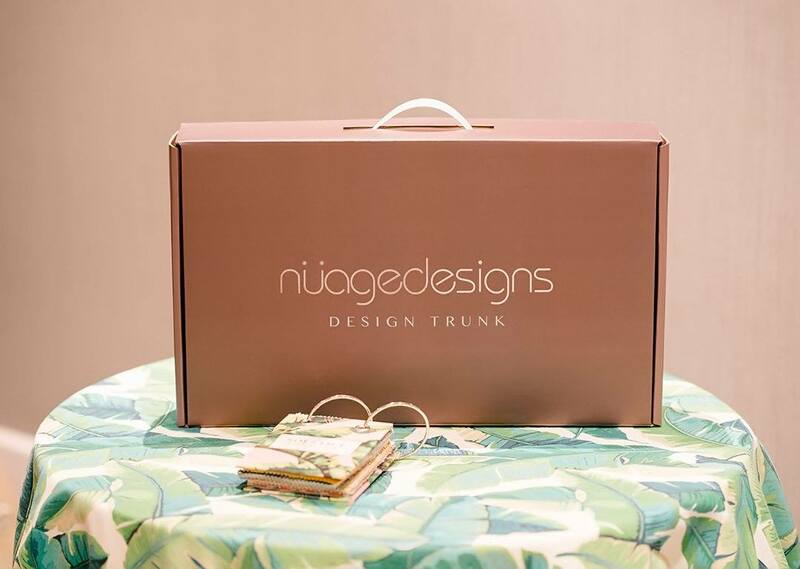 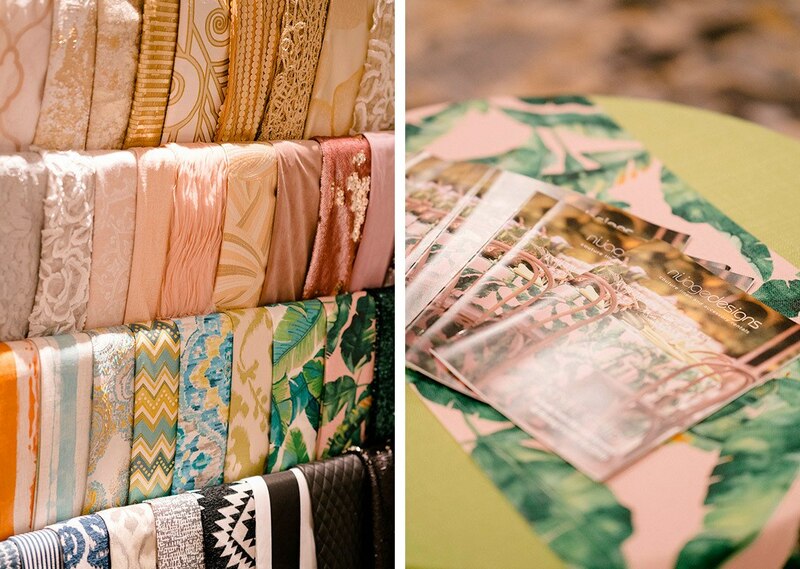 Nüage Designs Blog - Find inspiration from real weddings & events! 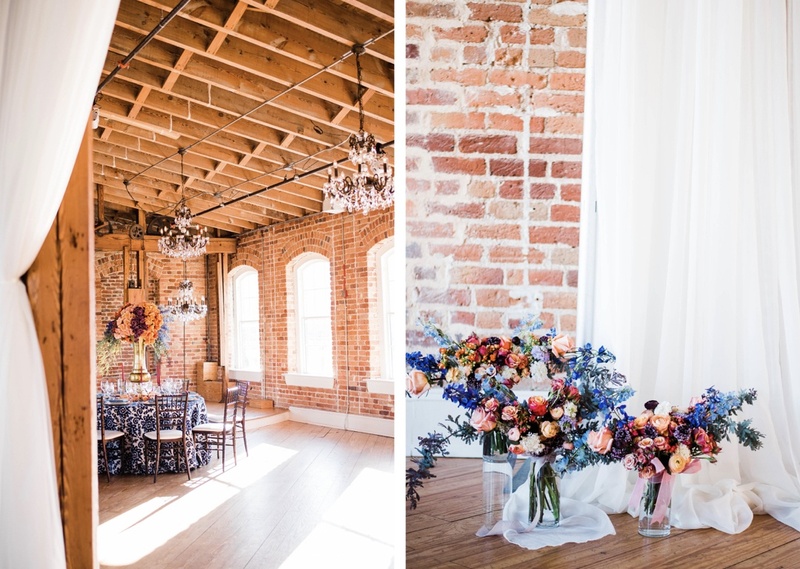 Heather Benge Events took us to the Melrose Knitting Mill, in Raleigh, North Carolina for a warm and intimate inspirational wedding photoshoot. Magic hour lighting streaming in through oversized windows gave the loft-like space a dewy glow. 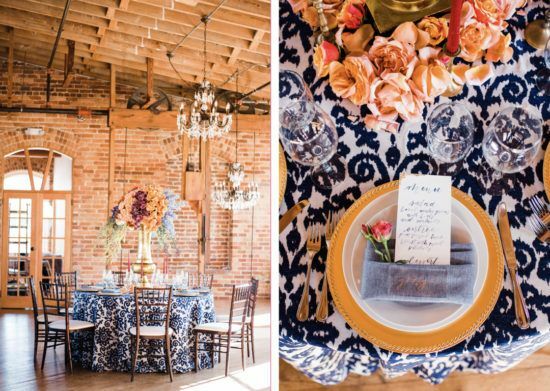 Just look at how the exposed brick wall warms up with those ribbons of light! In the center of the room, under sparkling crystal chandeliers, was the real show stopper. 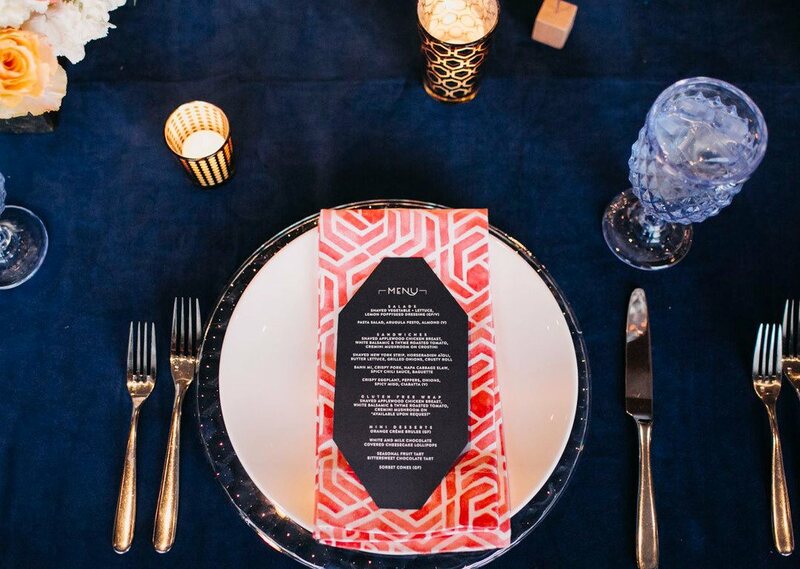 A tablescape set with our Cobalt Marrakesh brightened up the room with its bold ikat-inspired pattern. 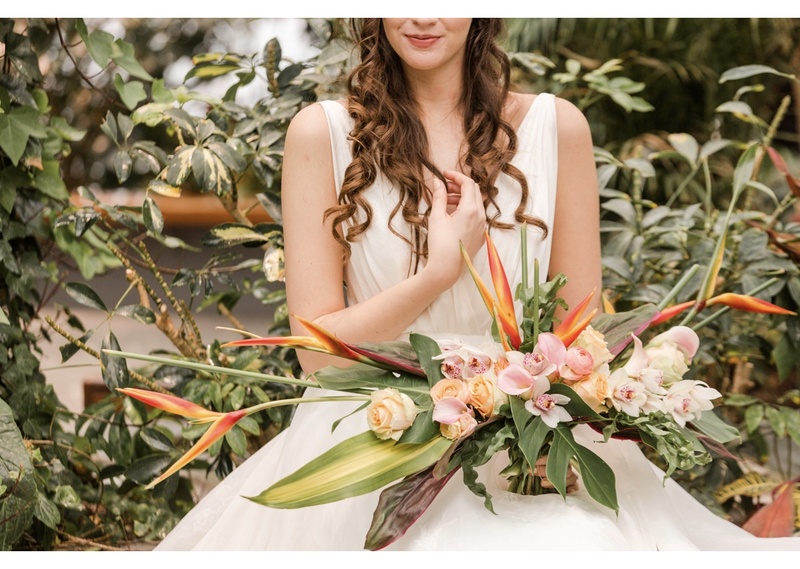 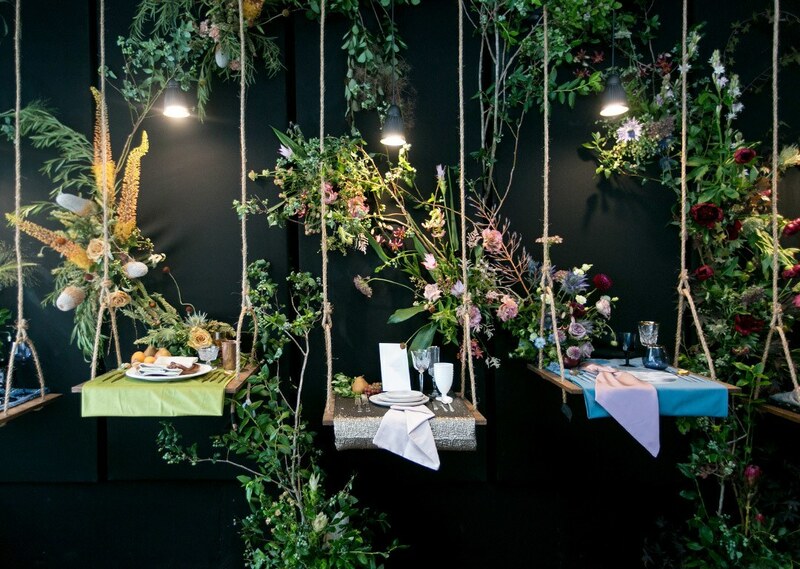 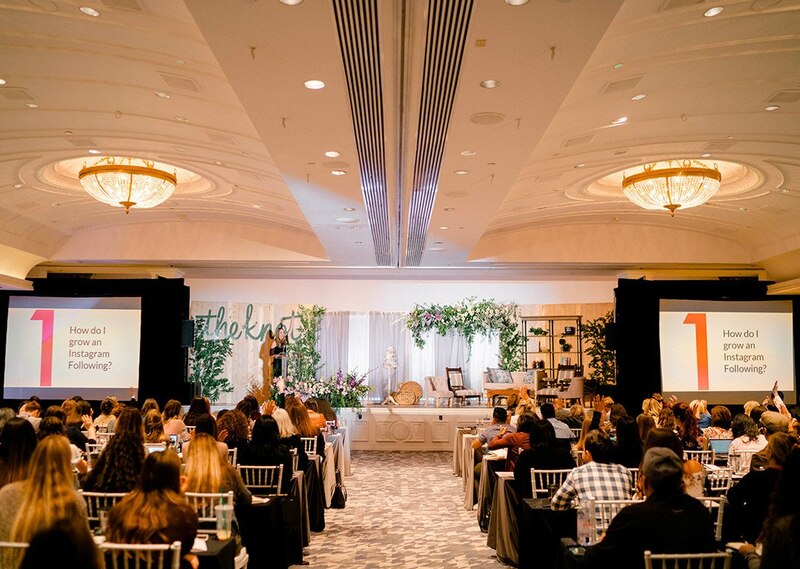 Intrigue Designs created the most unreal floral design to top it all off. 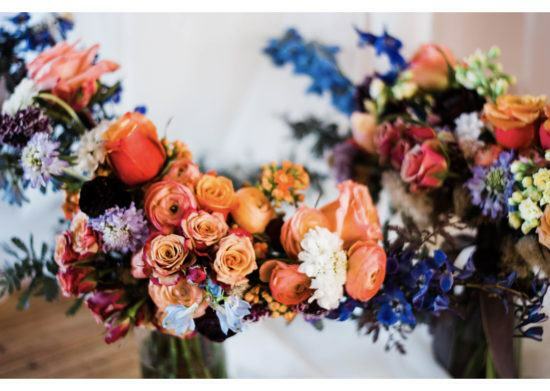 We’re in love with the arrangement of orange, blue and deep red flowers that came together in such a vibrant way. 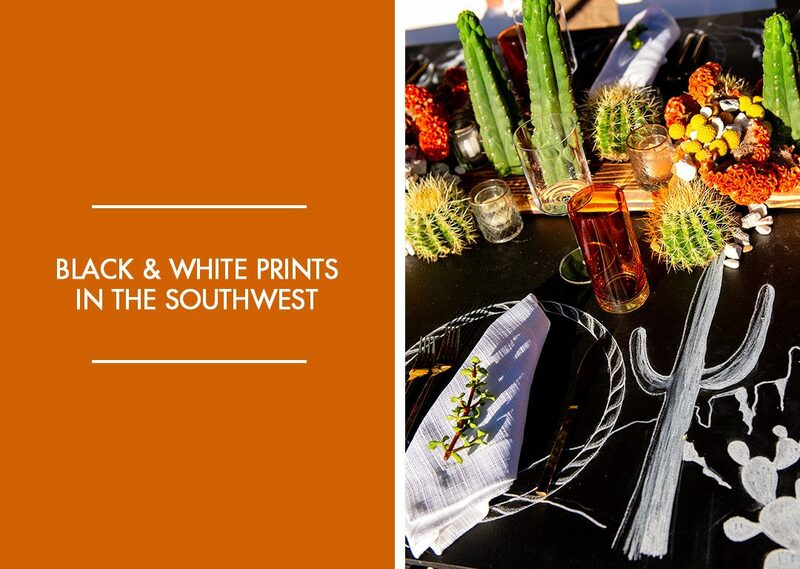 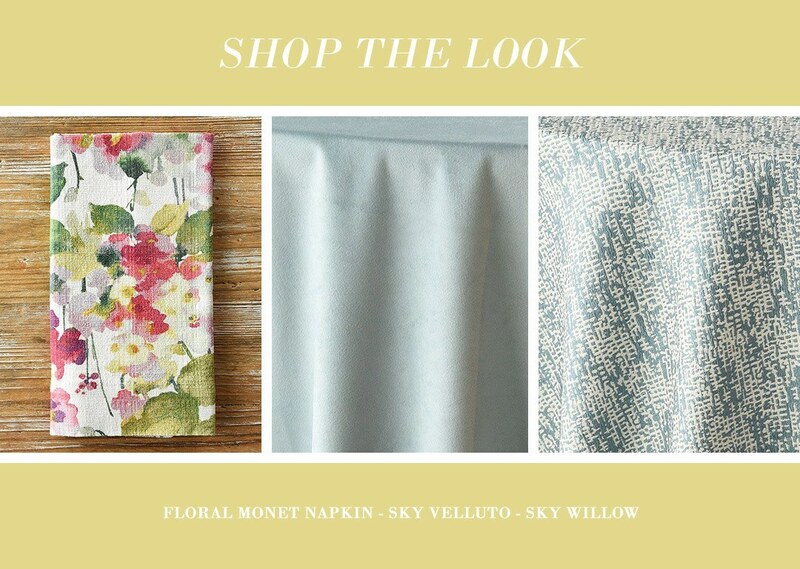 Our Sky Western napkins tucked right around calligraphed menus from Chickadee Dixie adding a metallic touch to the delicately water-colored cards. 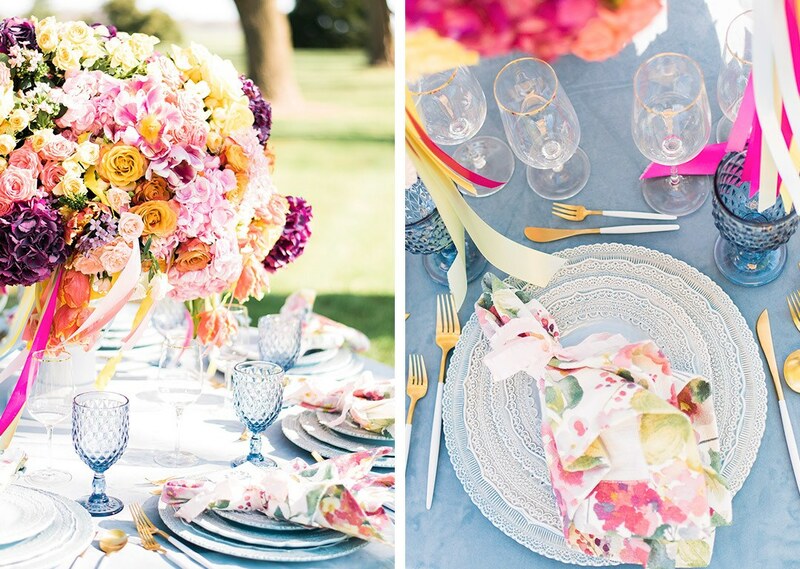 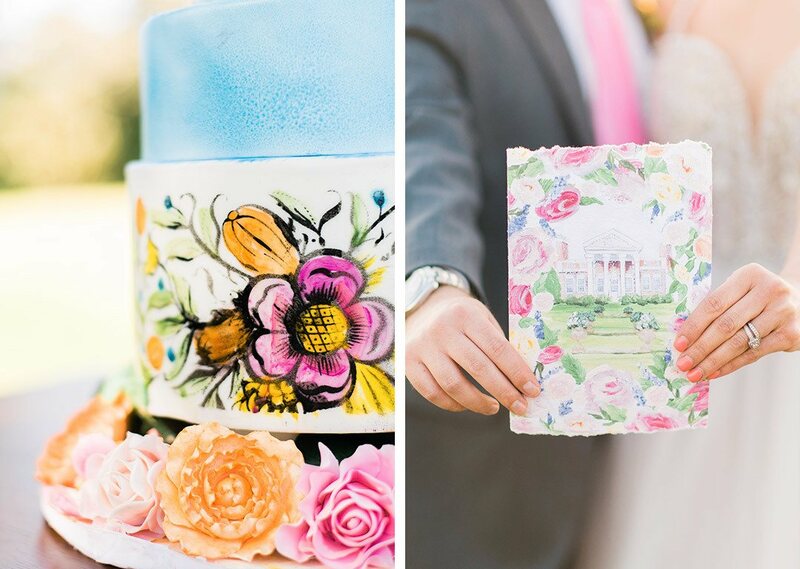 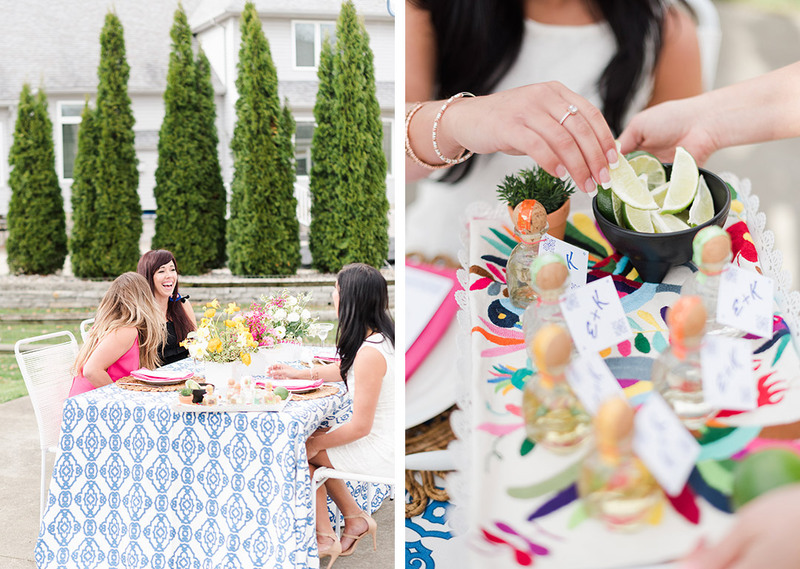 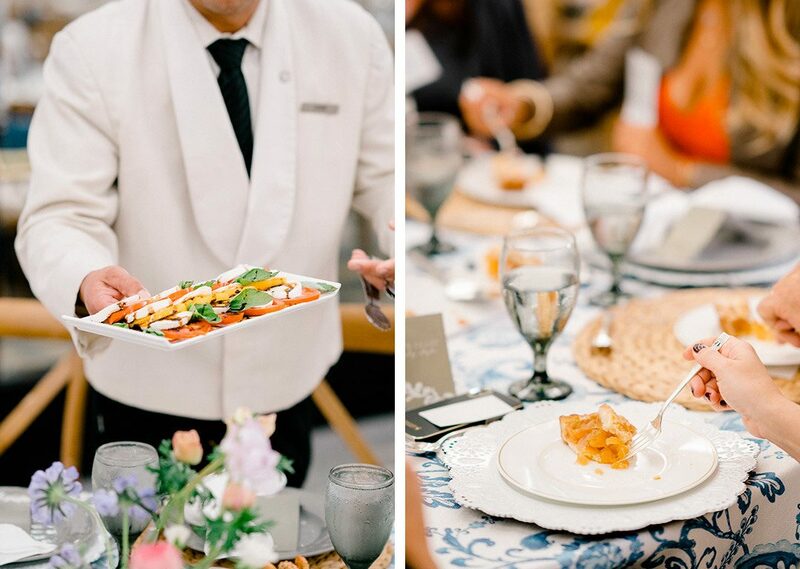 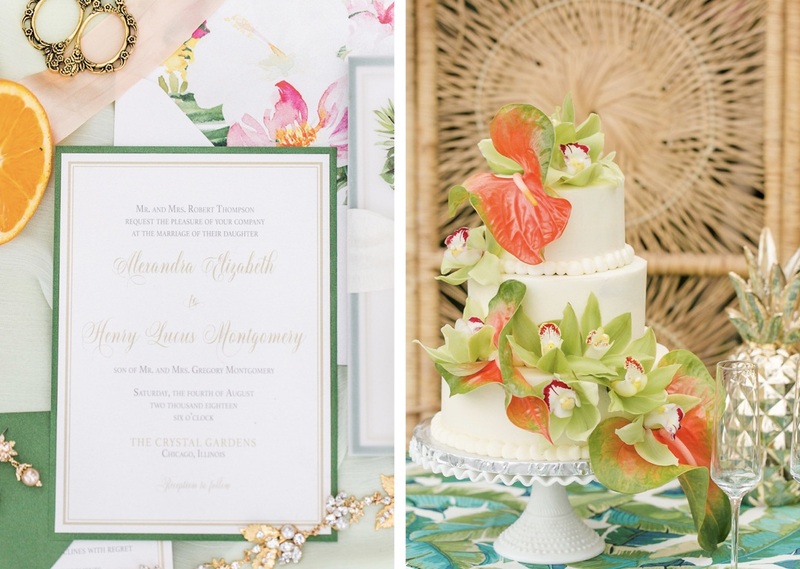 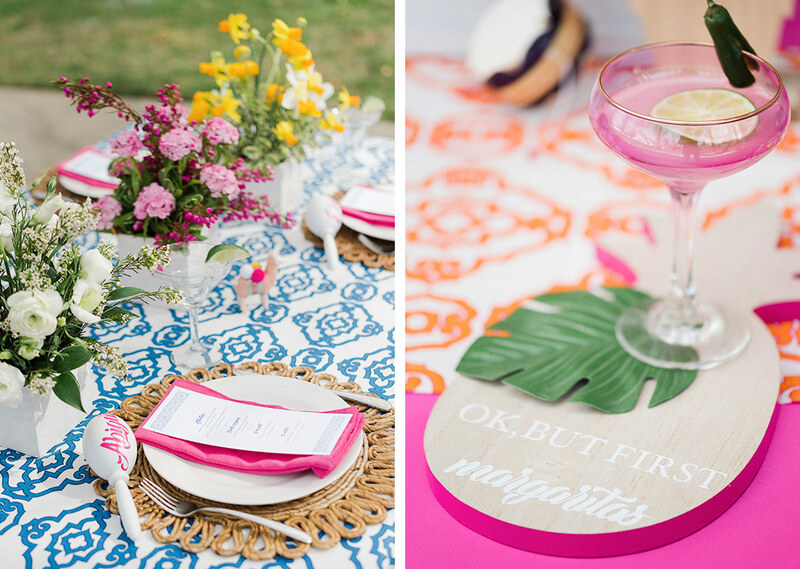 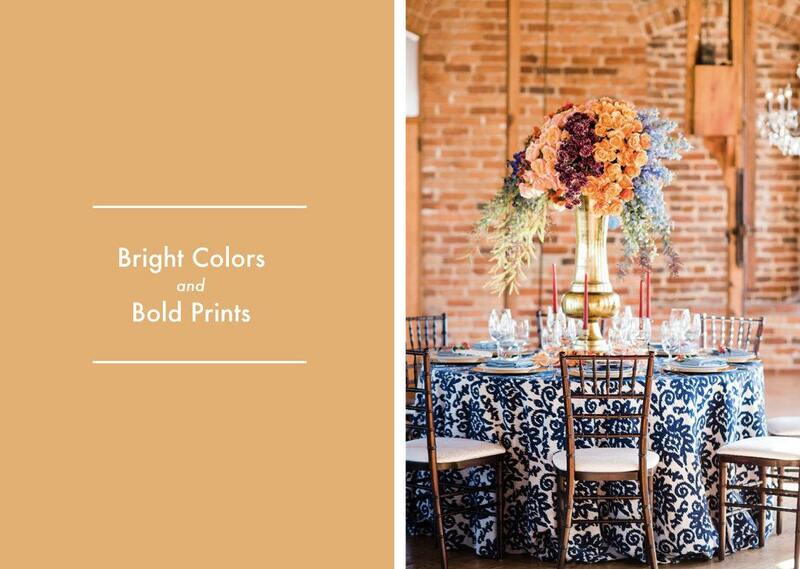 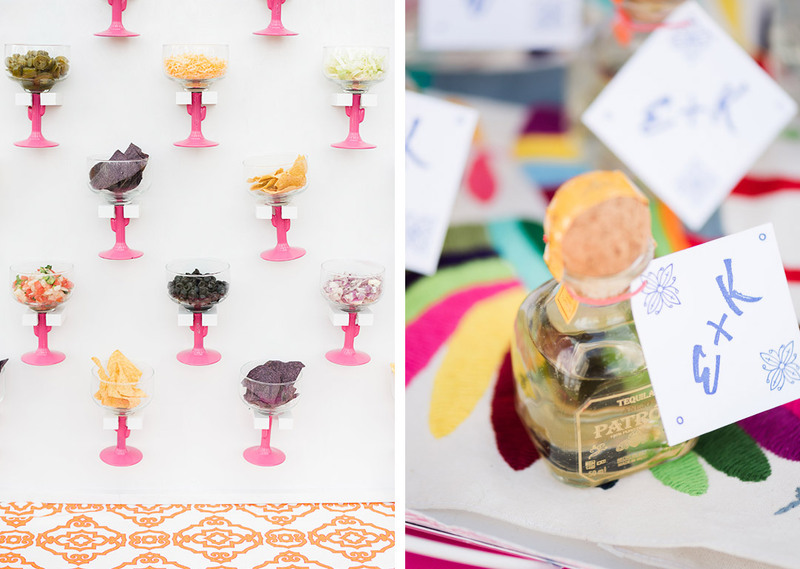 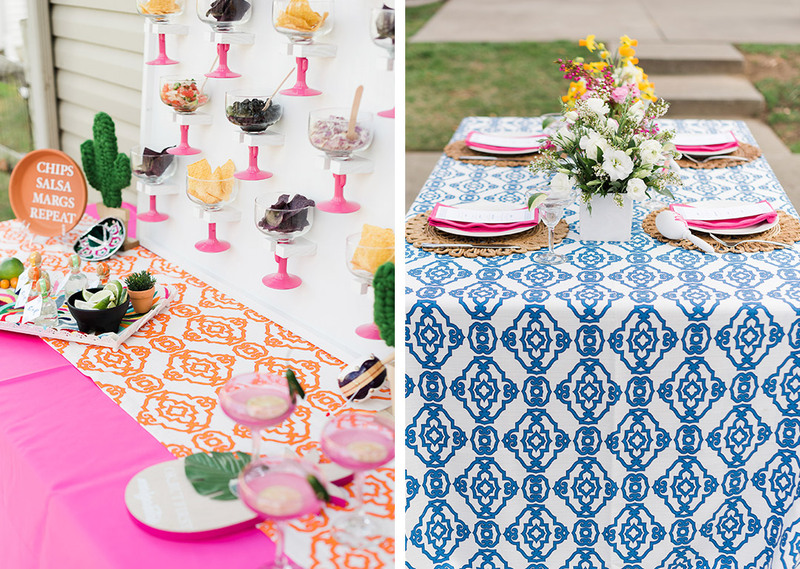 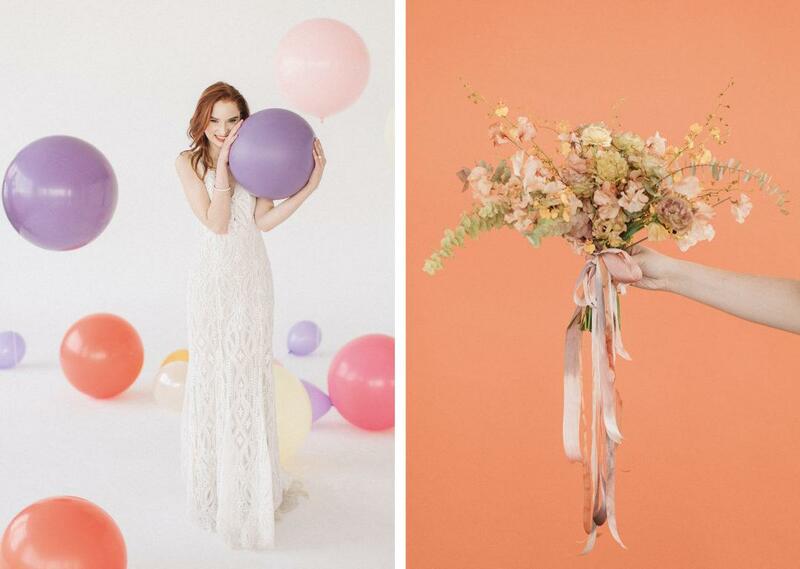 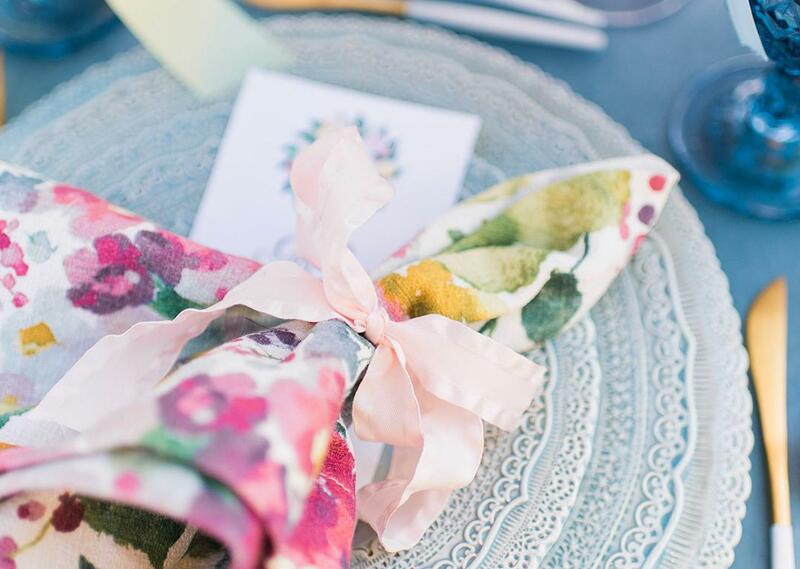 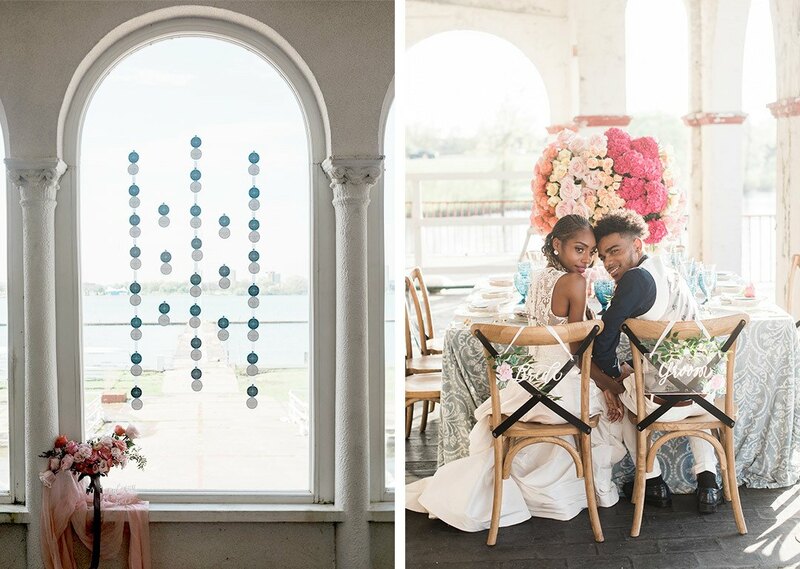 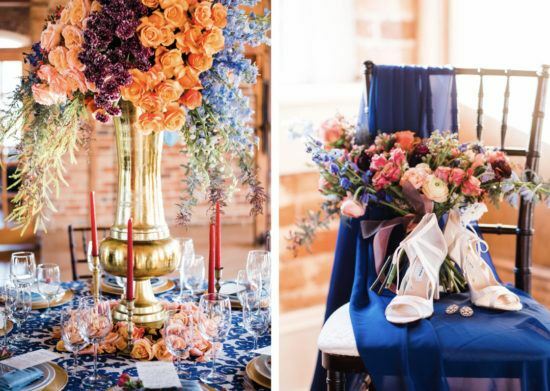 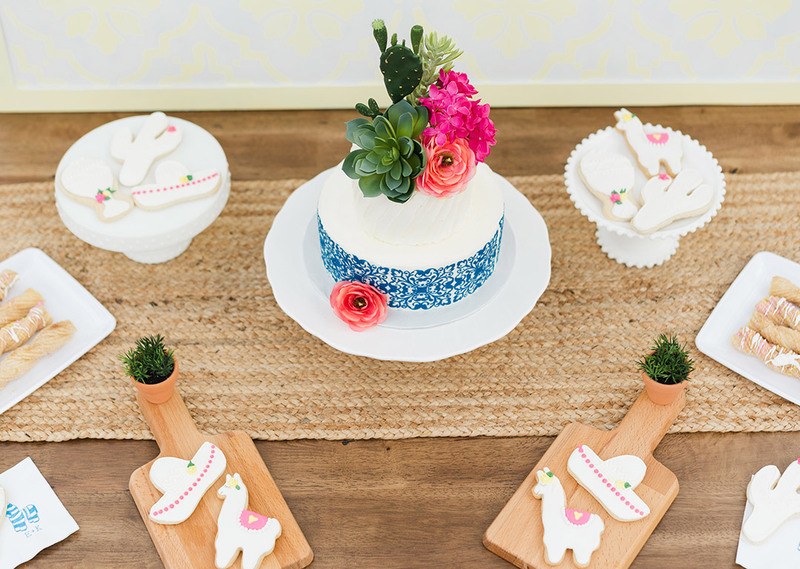 This lovely styled shoot brought together two of our favorite things – bright colors and bold patterns. 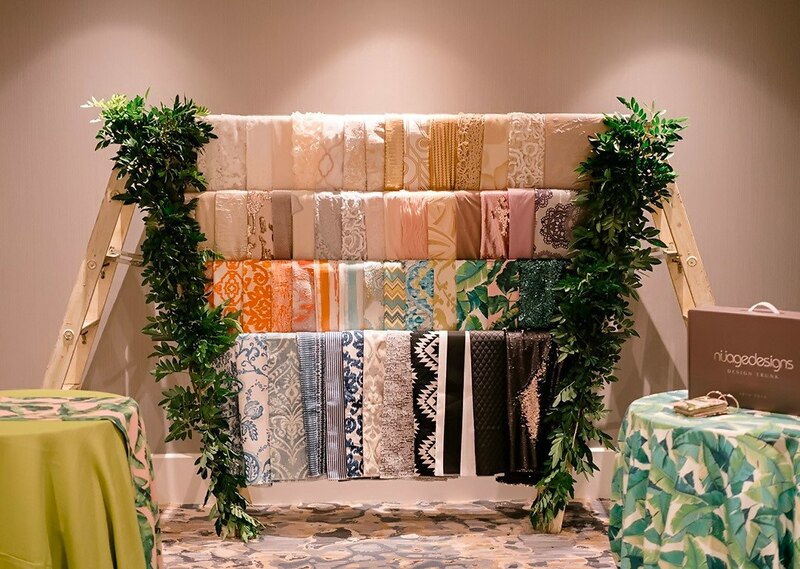 Do you go all in on these? 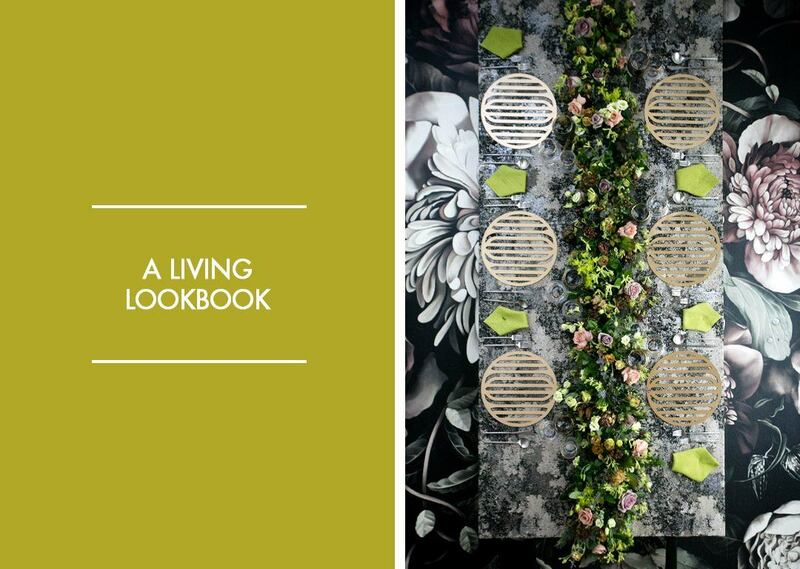 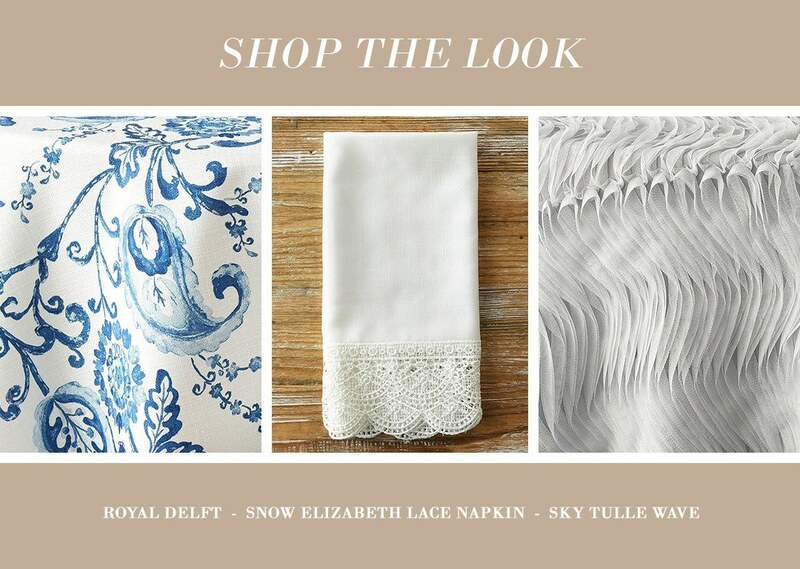 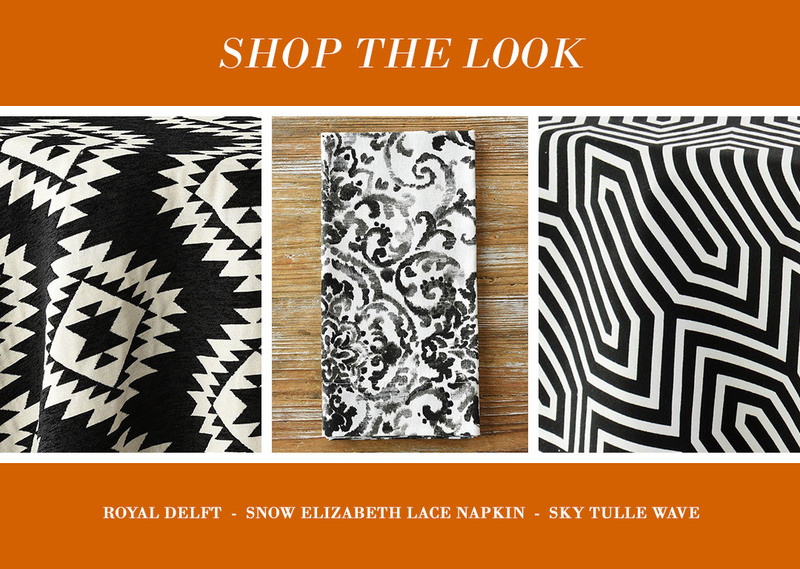 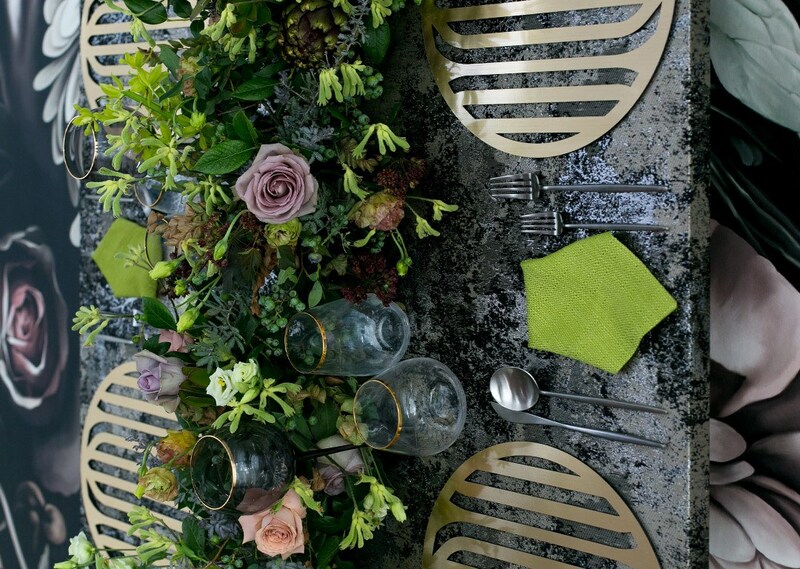 Find some more inspiration in our Solstice Collection! It’s SPRING! 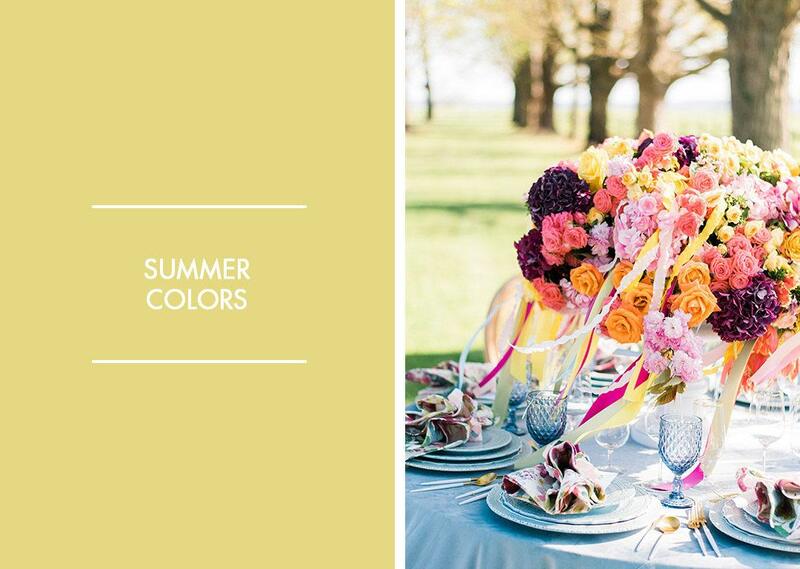 With the change in temps came the bloom of flowers and we are dreaming in the colors of the season. 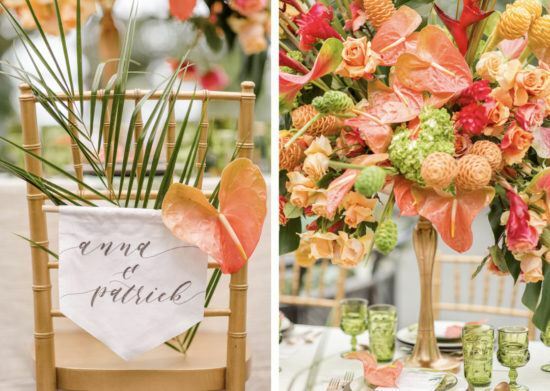 From bright corals to deep fuchsias, the foliage this time of the year has us feeling more inspired than ever! 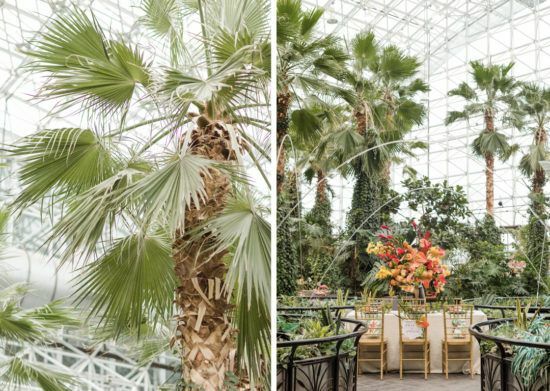 It looks like we aren’t the only ones either. 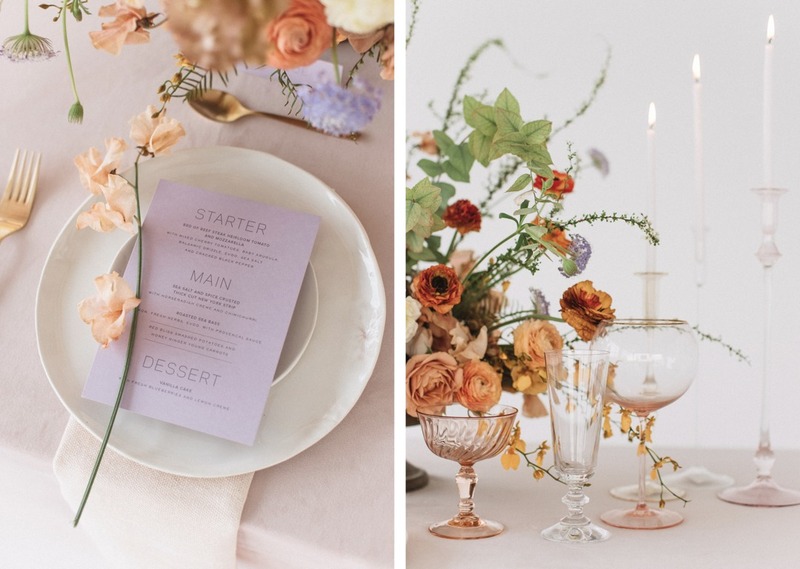 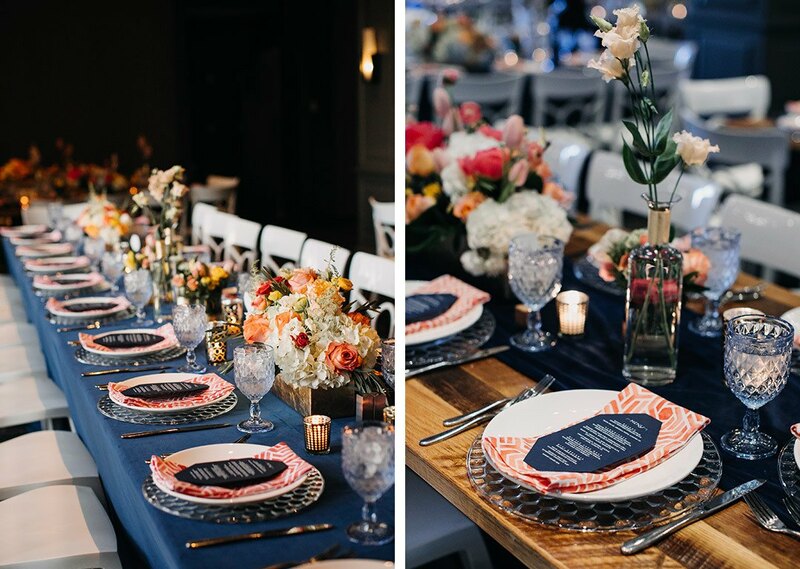 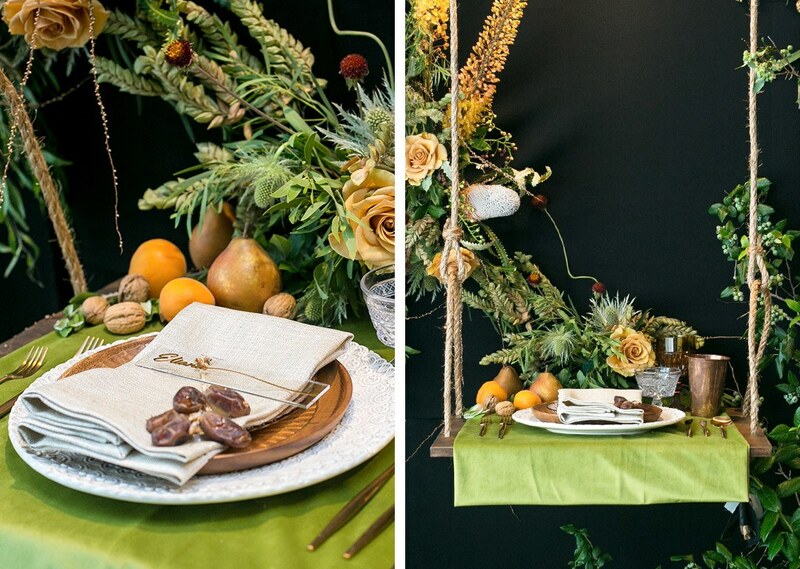 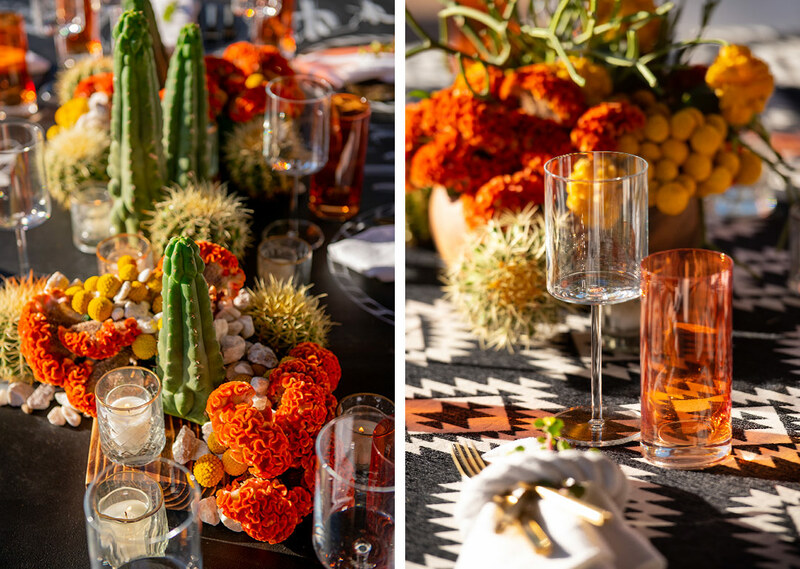 This gorgeous styled shoot from Styled Shoots Across America is on the same wavelength as us, scroll through to check out this perfectly seasonal set up! 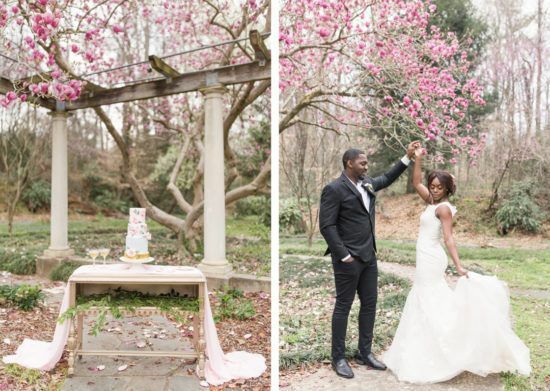 Cator Woolford Gardens, in Atlanta, Georgia, set a beautiful backdrop for this shoot. 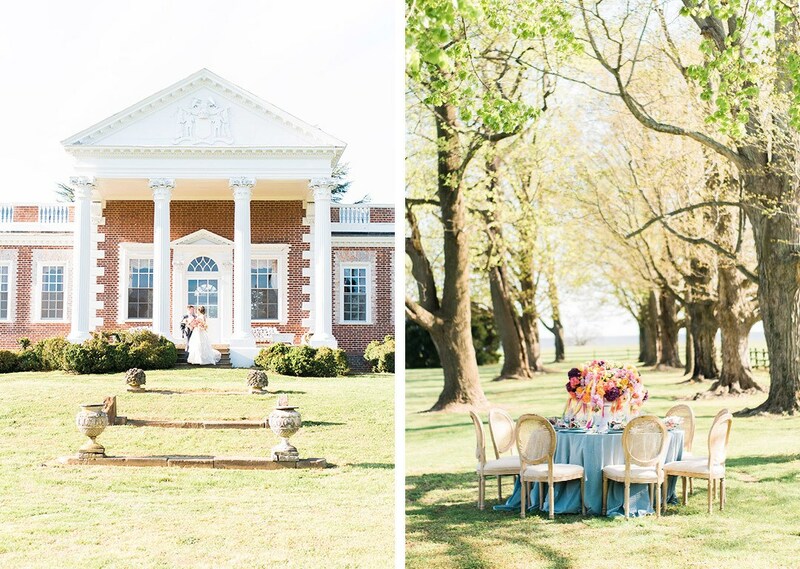 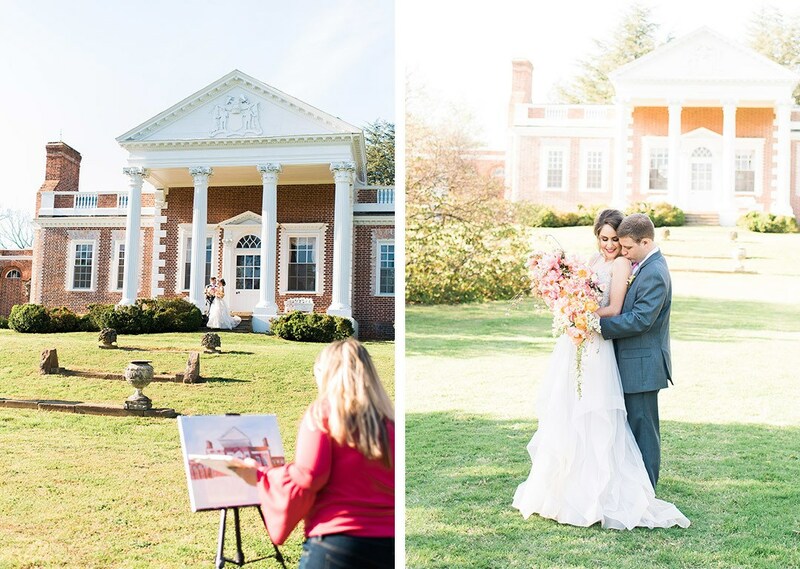 With its trellised walkways and sweeping greens, it’s a dream wedding location. 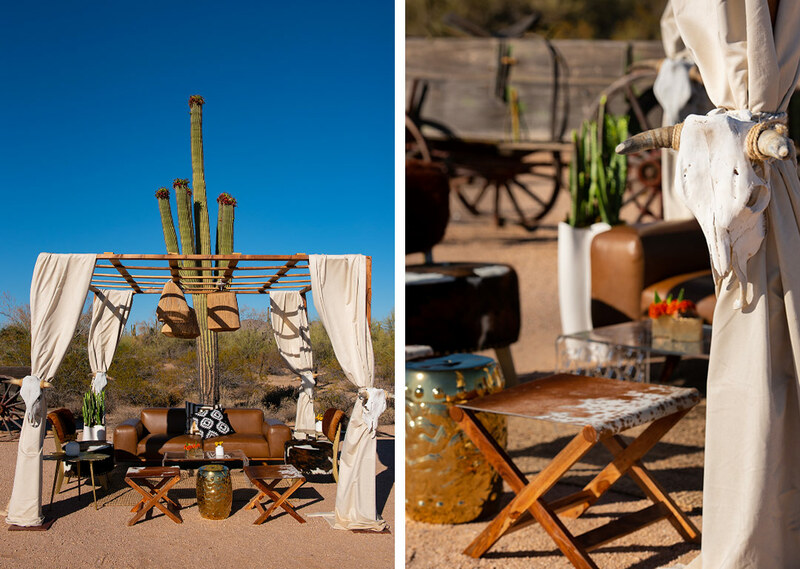 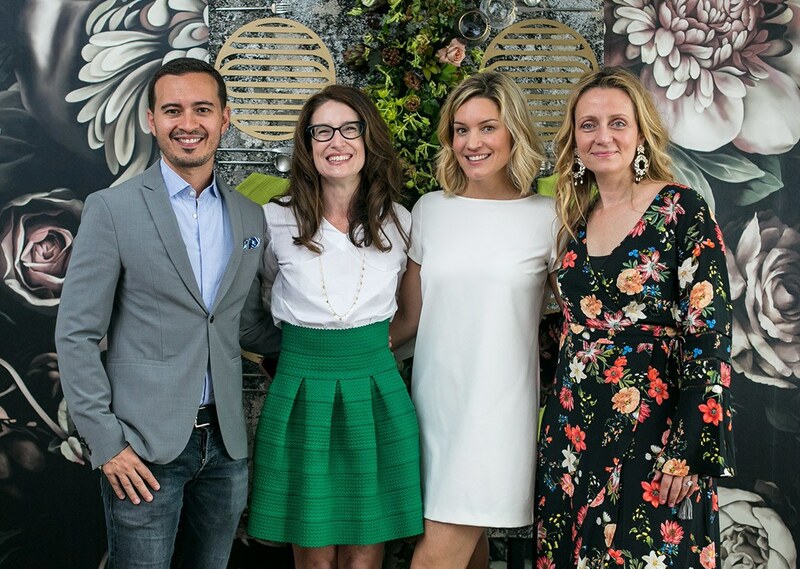 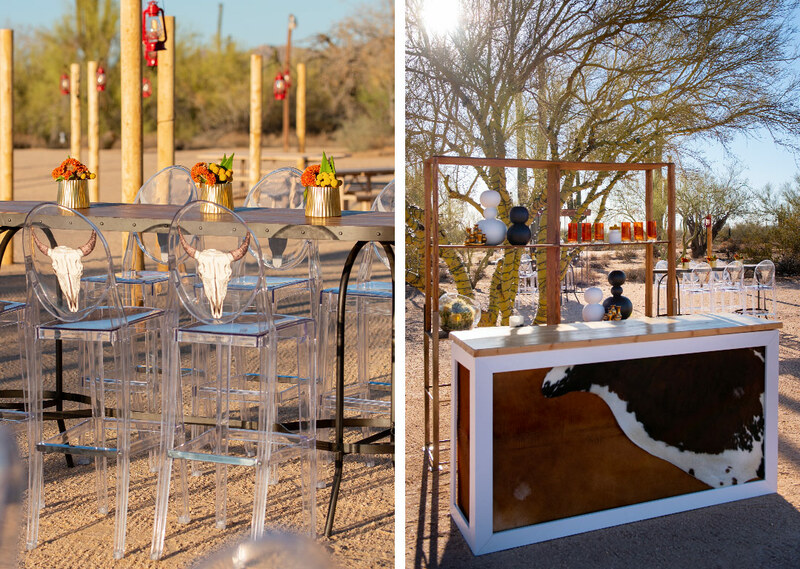 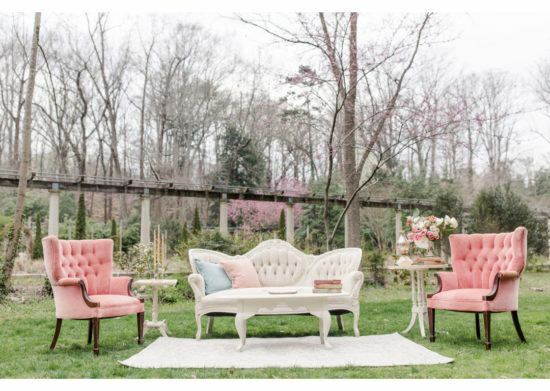 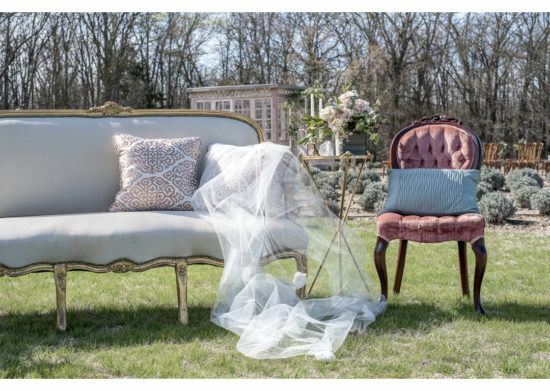 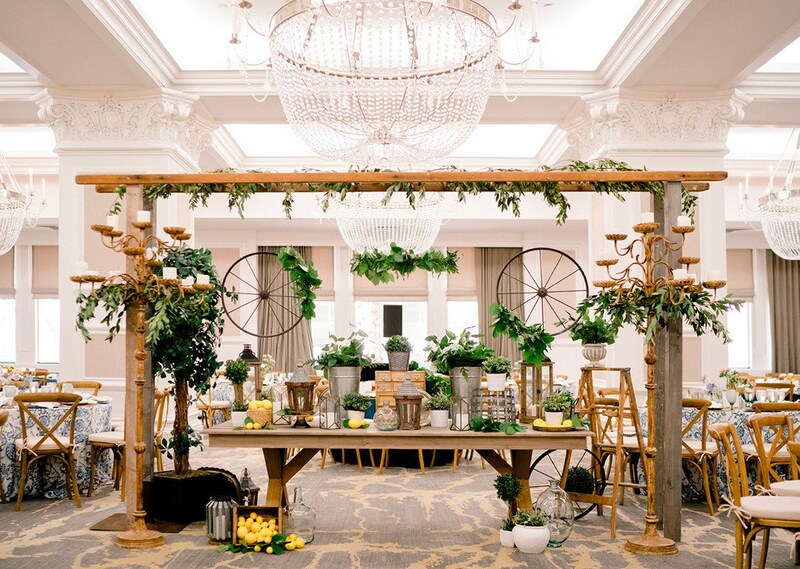 Heather Benge Events took advantage of the landscaped grounds to put together the loveliest lounge setting with furniture from Southern Vintage. 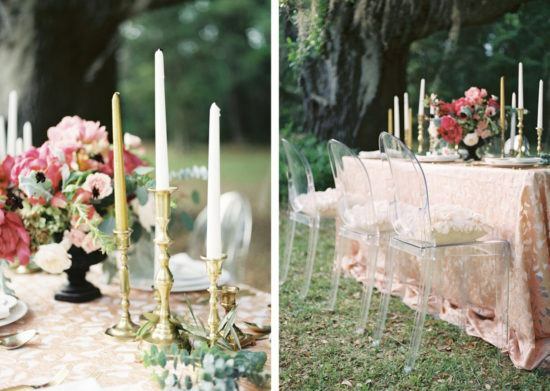 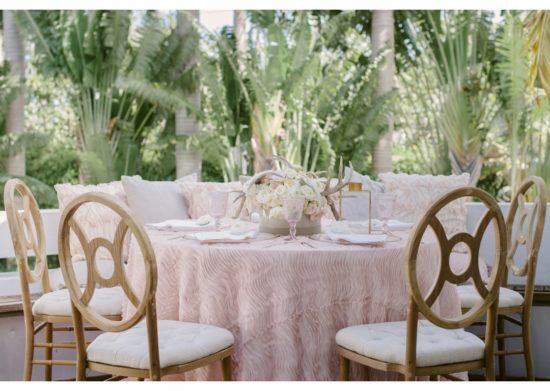 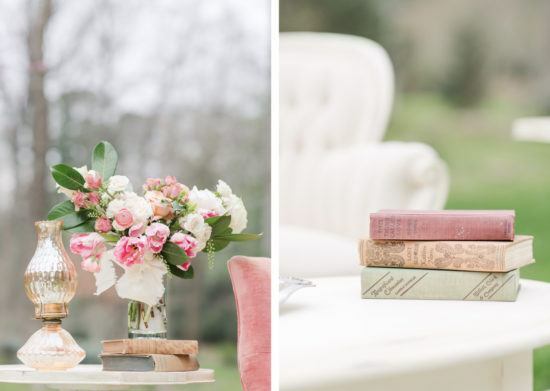 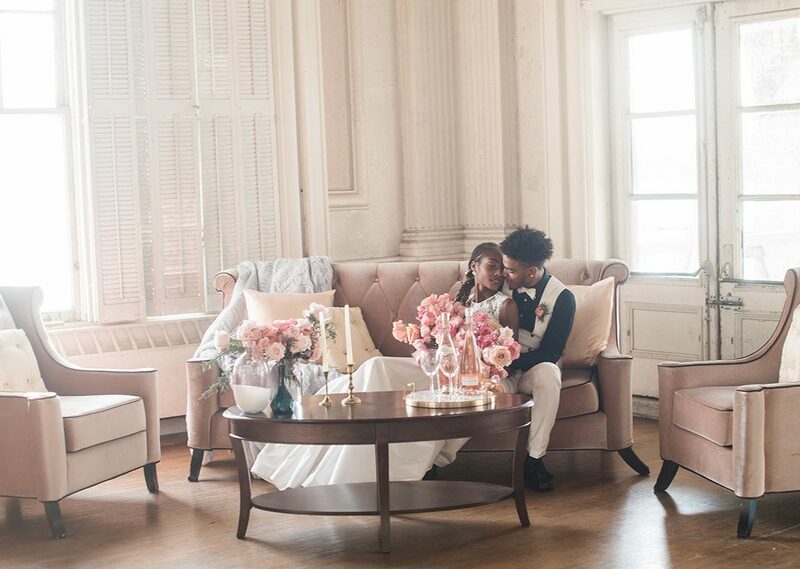 We’re gushing over the pretty pink tufted velvet armchairs, just the place for newlyweds to celebrate their nuptials! 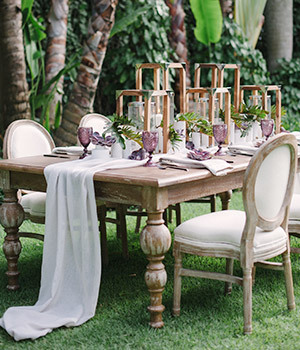 And how about that dining location? 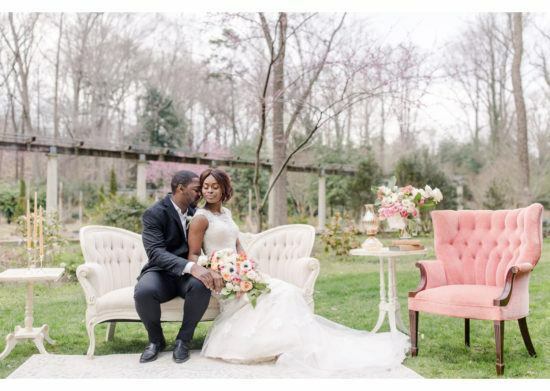 Nestled between stone columns and tucked underneath overgrown vines, it’s the most romantic little spot! 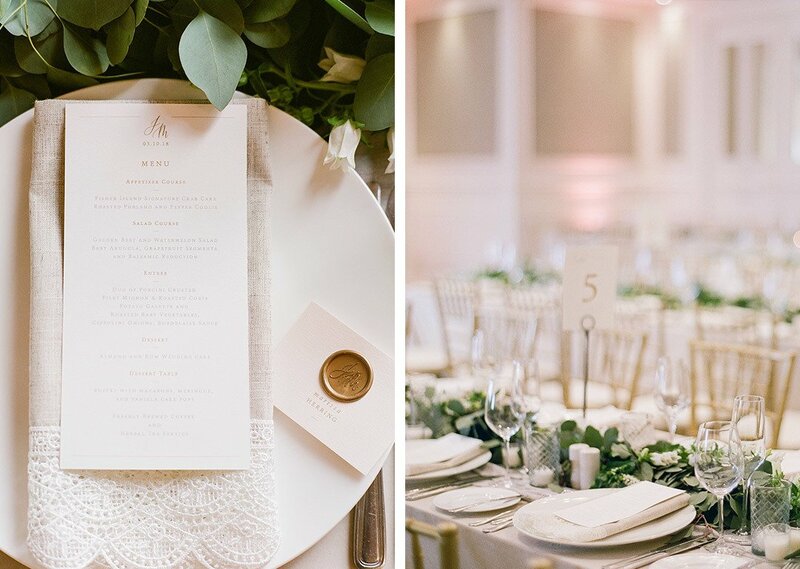 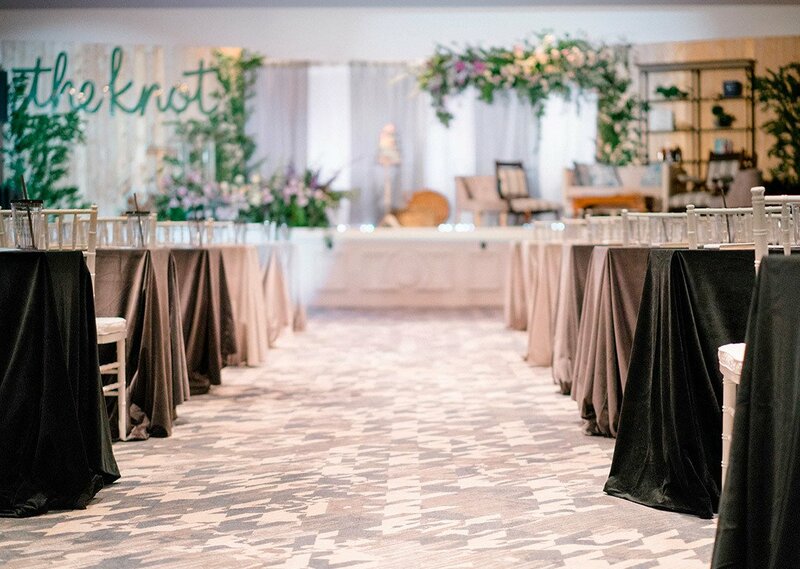 We love how our Sage Plaster linen set the table with soft shades of green and taupe, giving florals by Intrigue Designs room to blossom! 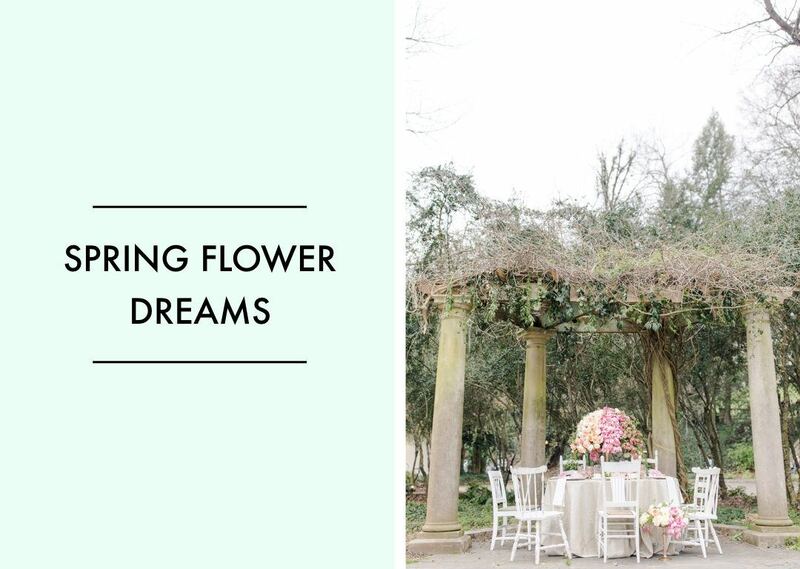 And blossom they did! 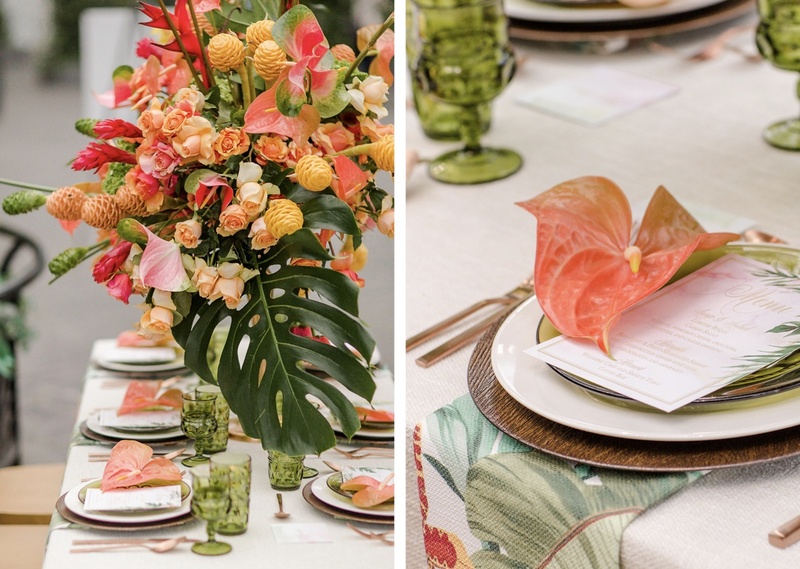 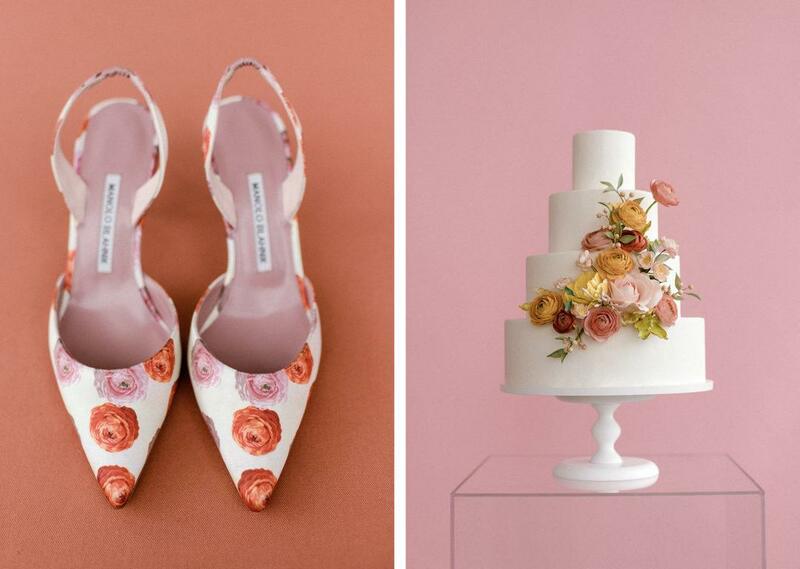 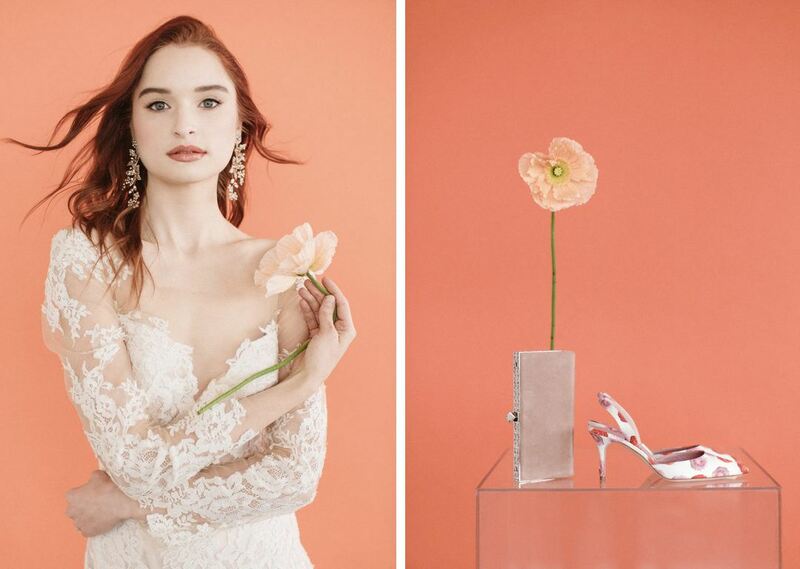 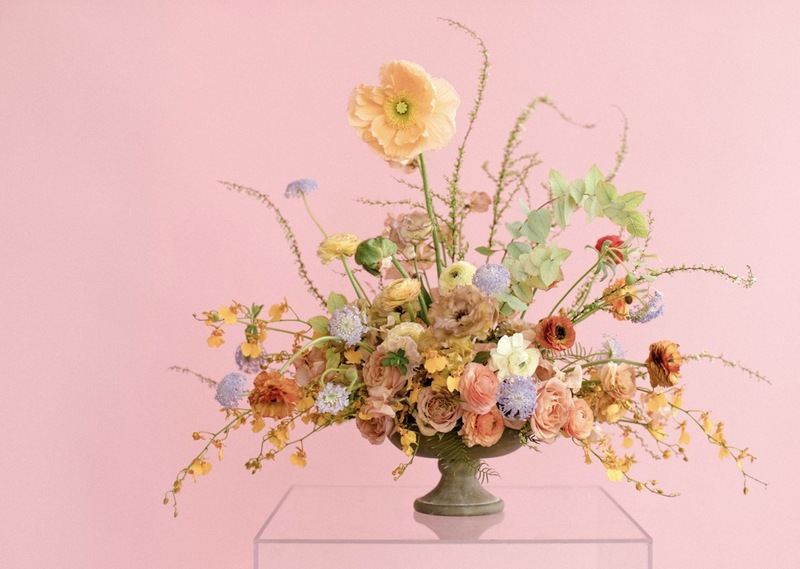 The floral arrangement truly brought Spring feelings to life in lush, cascading shades of pink and orange. 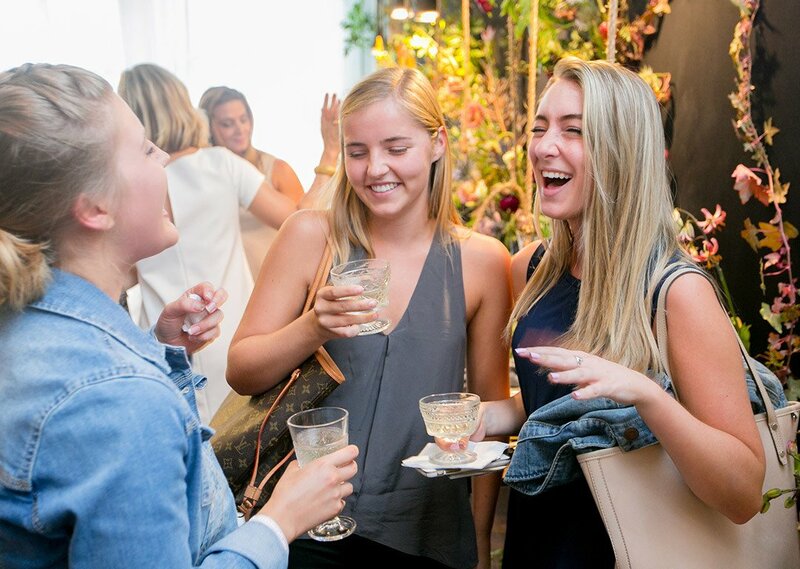 What joy! 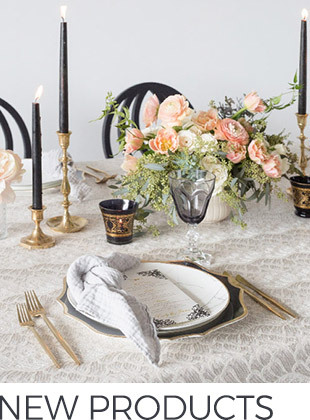 We’re head over heels for the table top decor, delicate pieces from Tea and Old Roses that tied everything together. 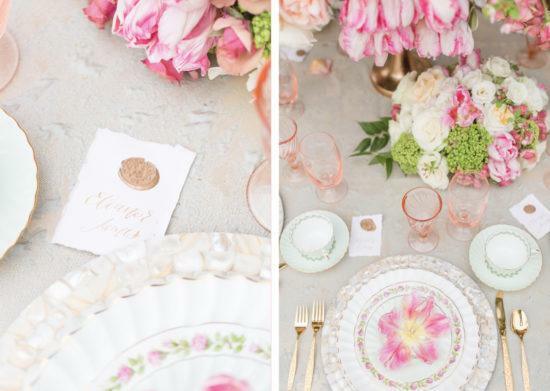 Lovely vintage china in matching shades of blush and mint mixed in with mother of pearl chargers and shiny gold flatware to give this tablescape a beautiful shimmer. 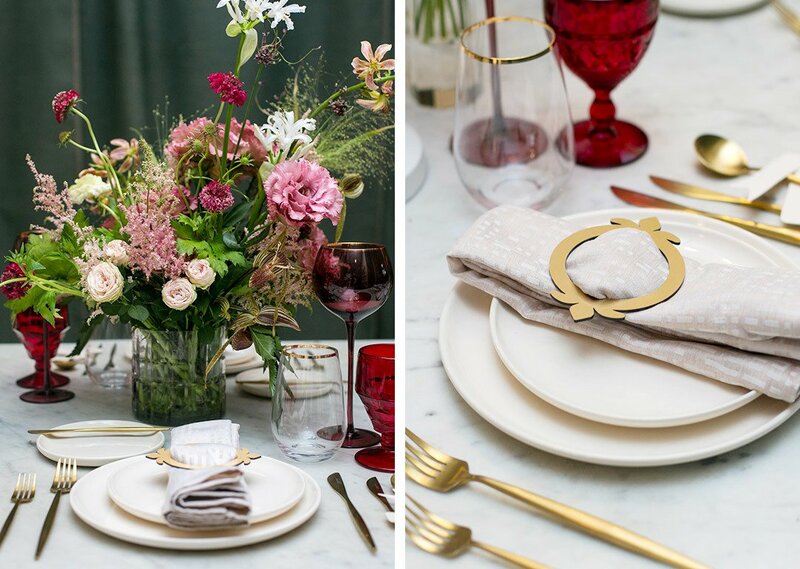 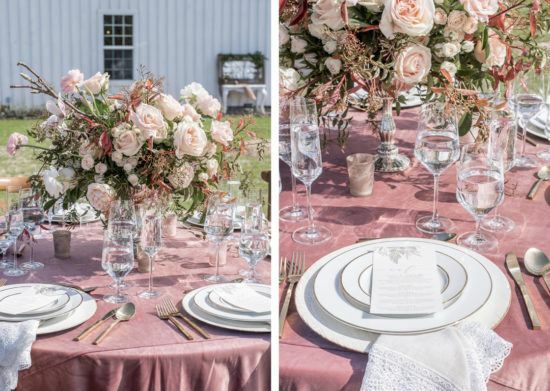 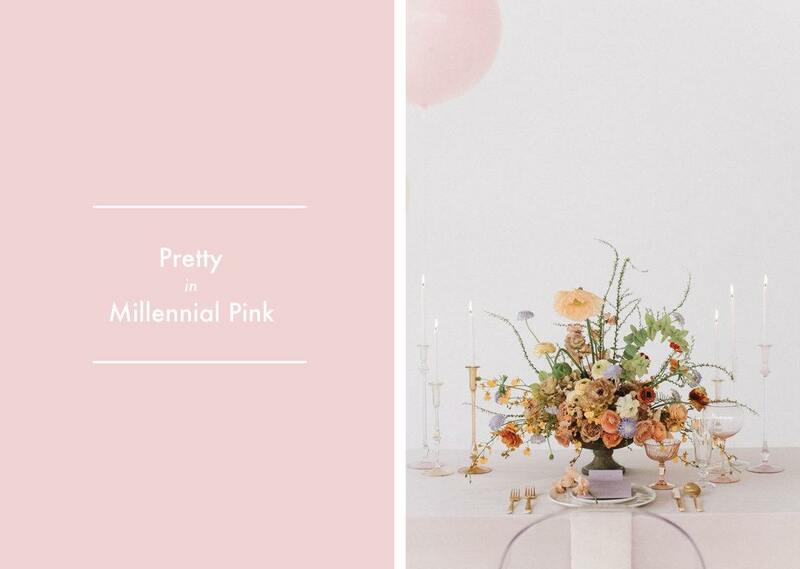 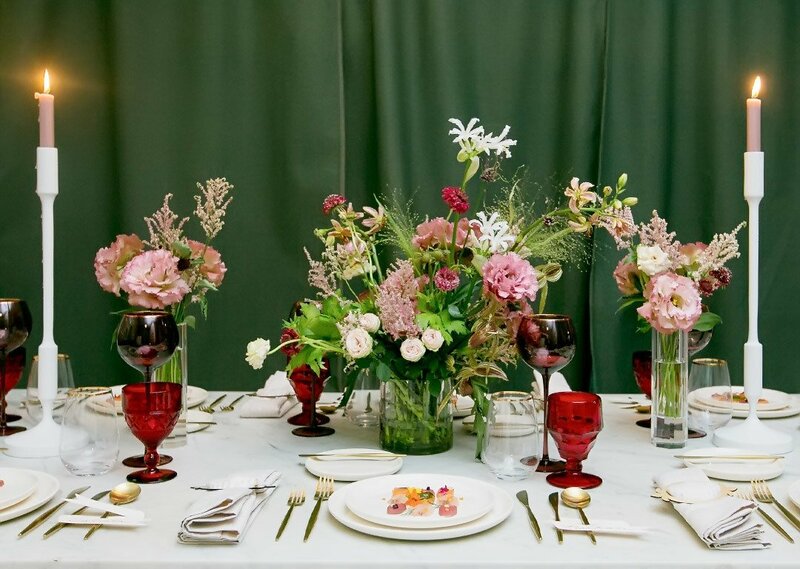 Rose-colored glassware completed the look giving guests the perfect glasses to cheers with! 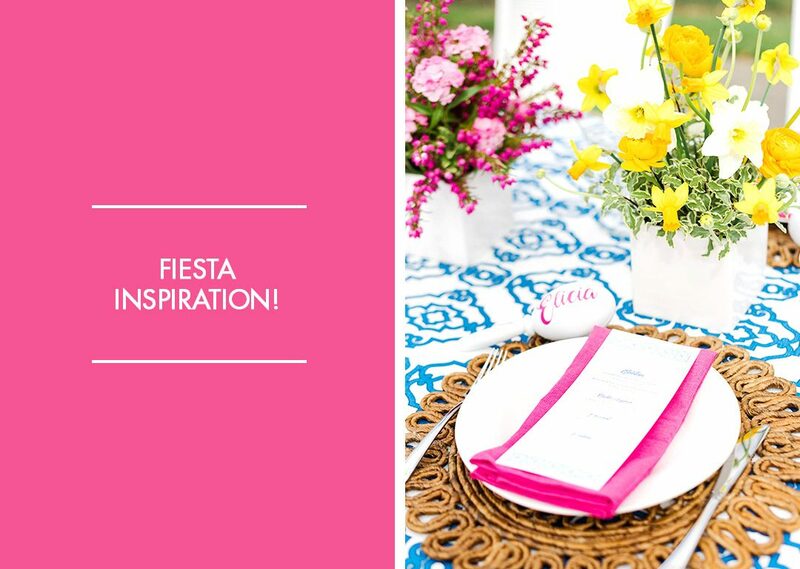 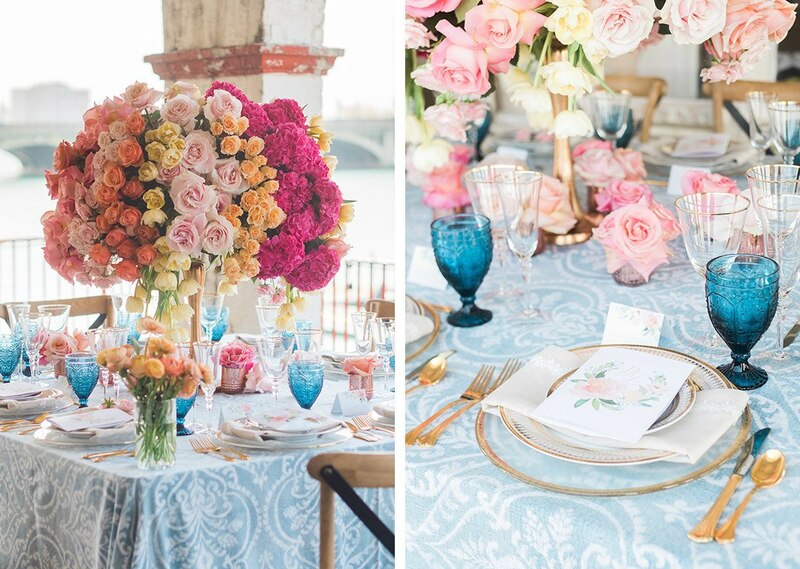 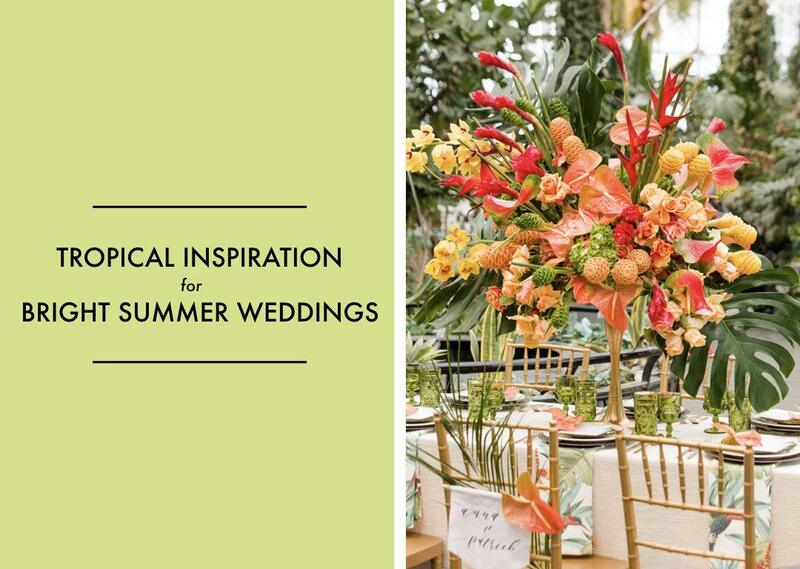 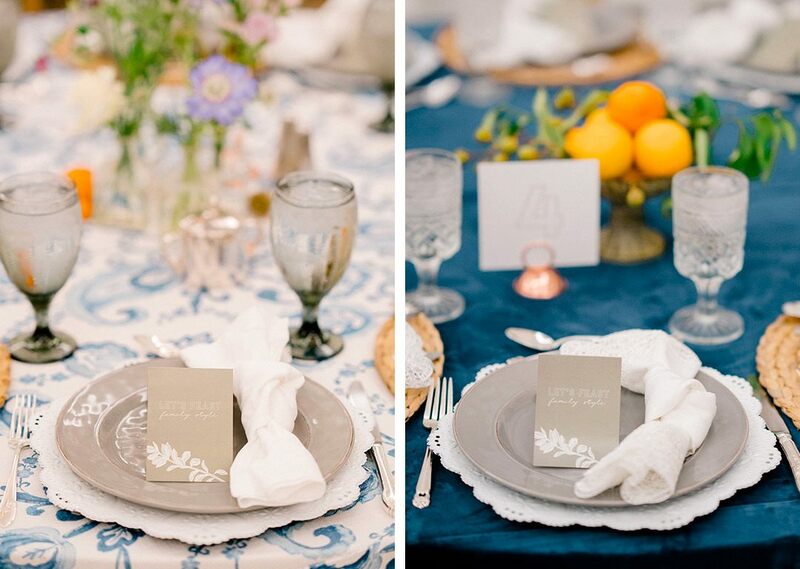 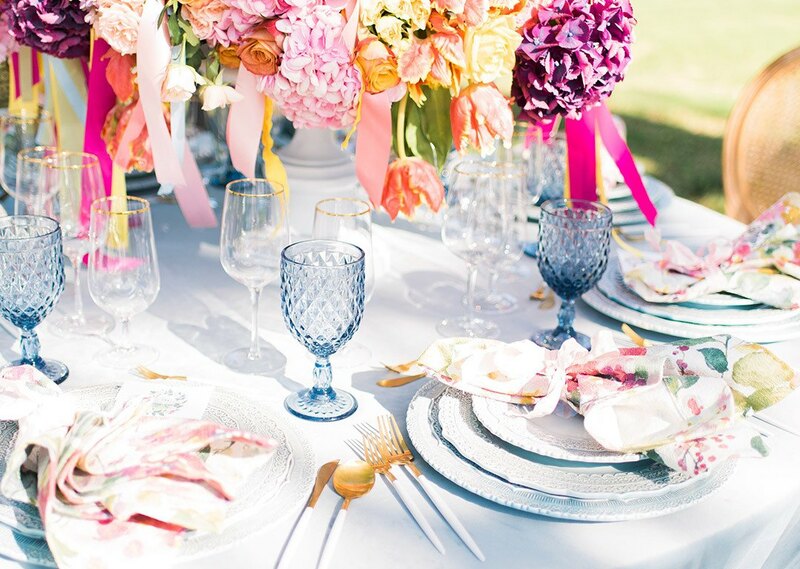 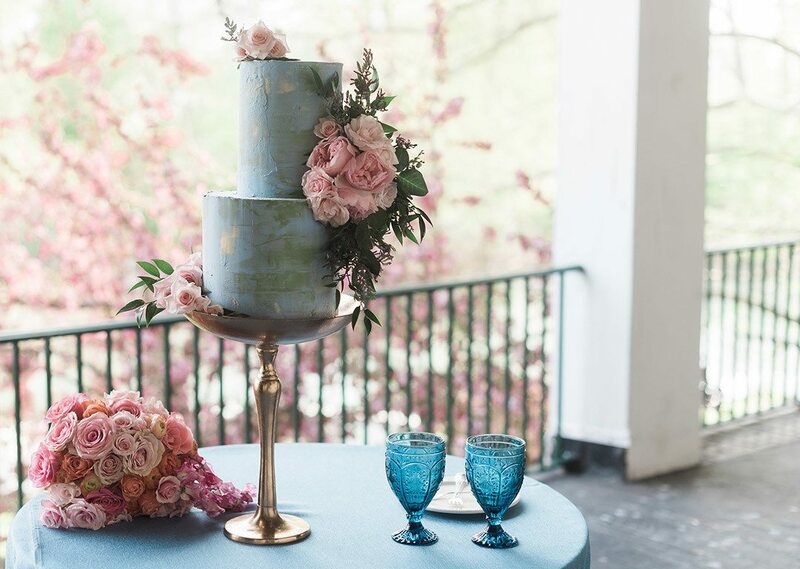 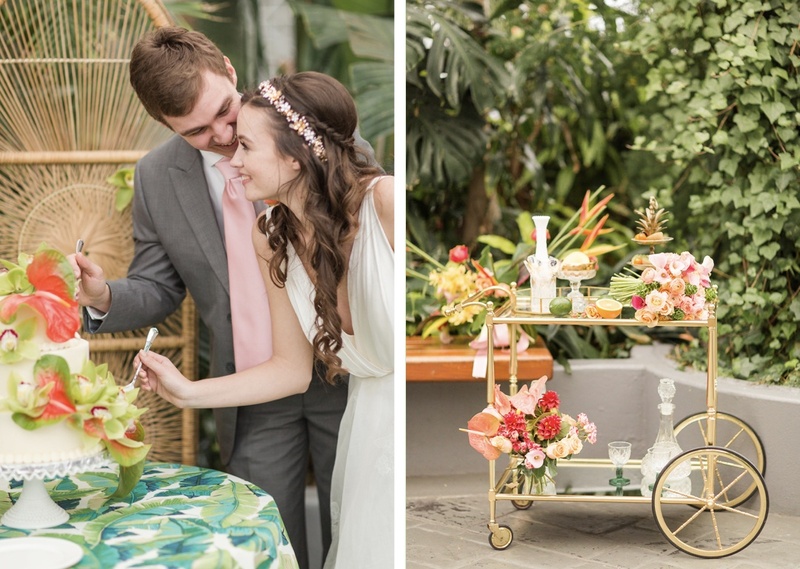 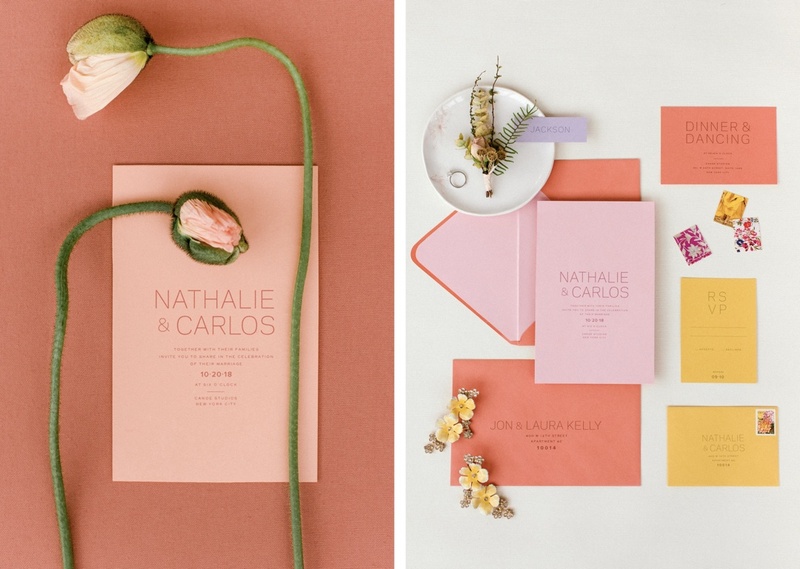 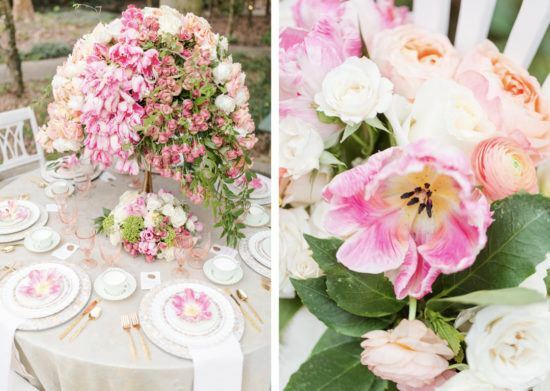 From the spring color palette to the garden setting, we’re falling head over heels from this one! 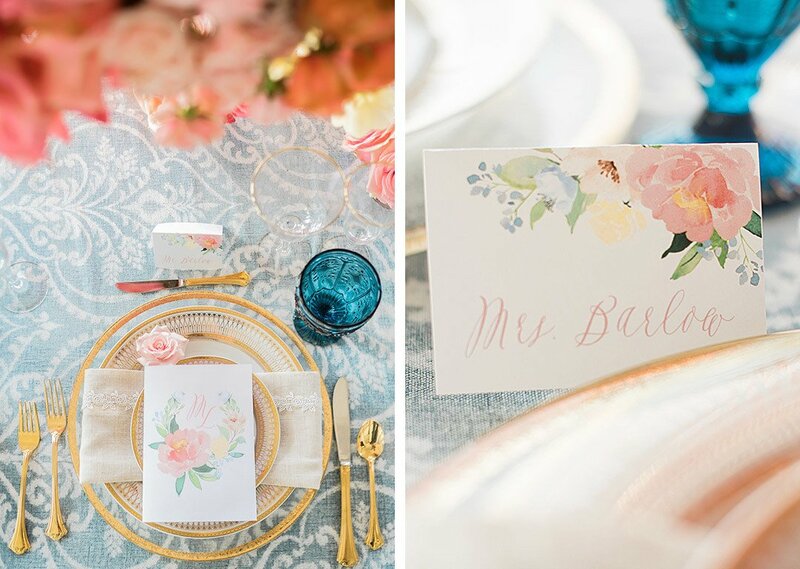 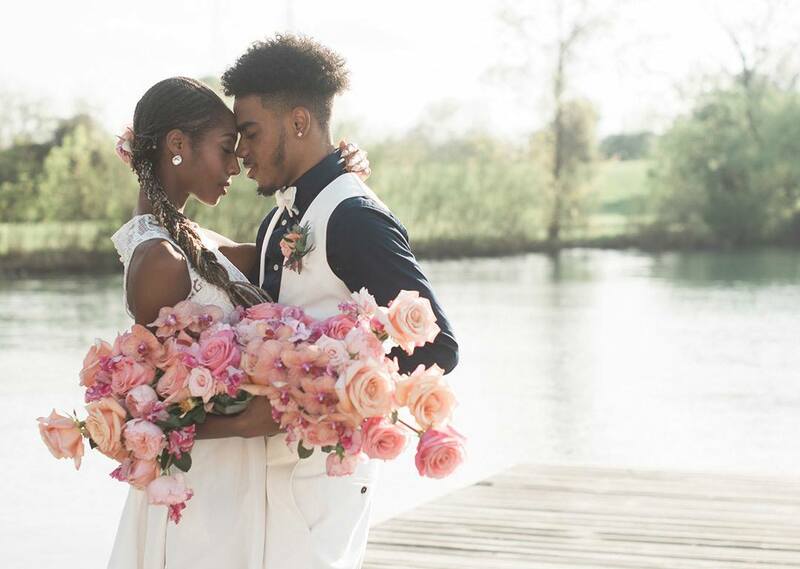 And if you’re looking for more spring looks, check out this dreamy Los Angeles styled shoot and get ready to be inspired! 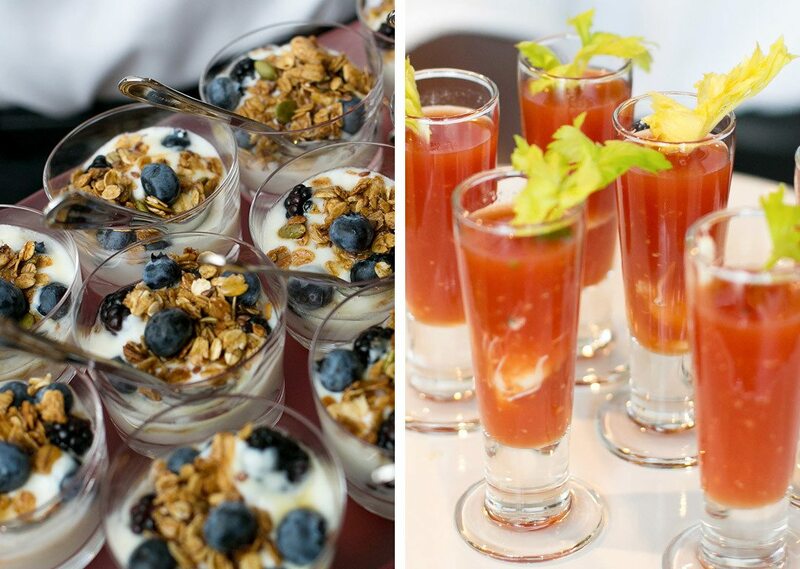 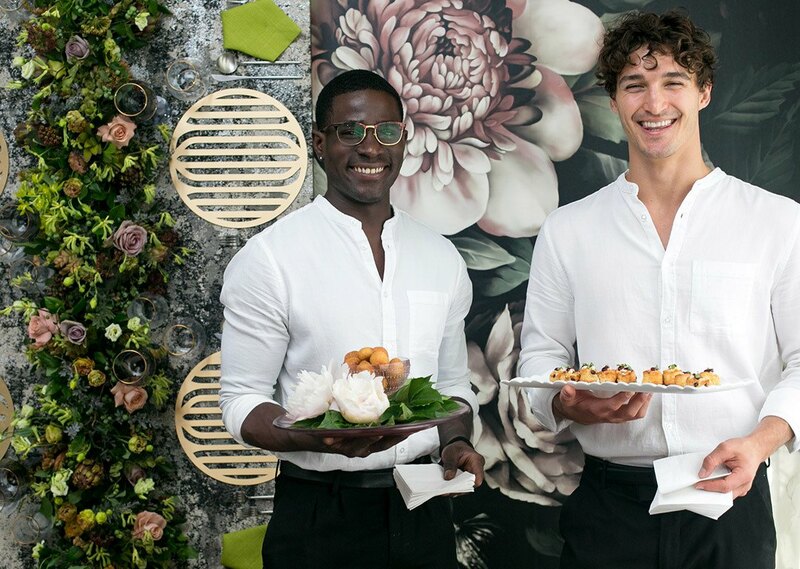 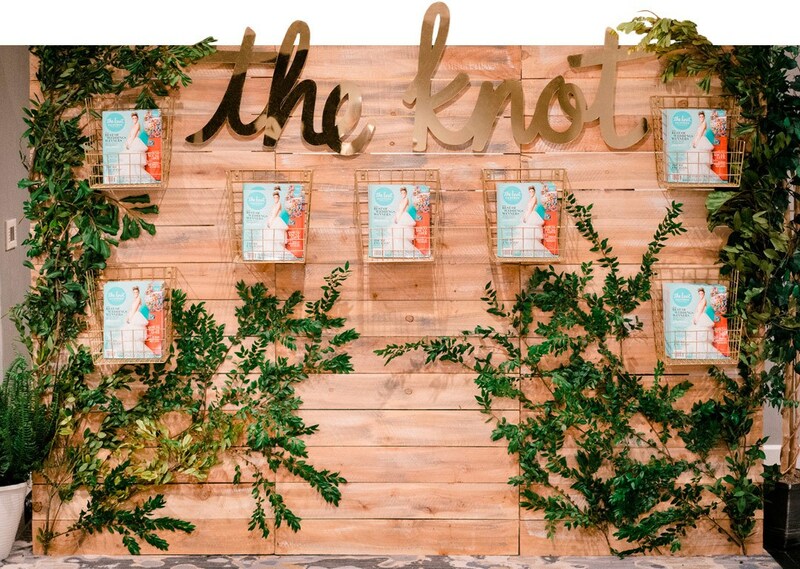 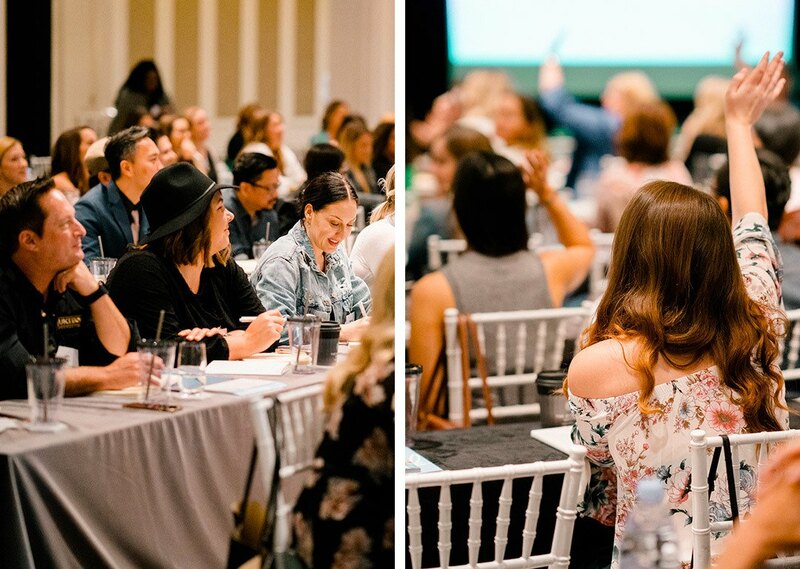 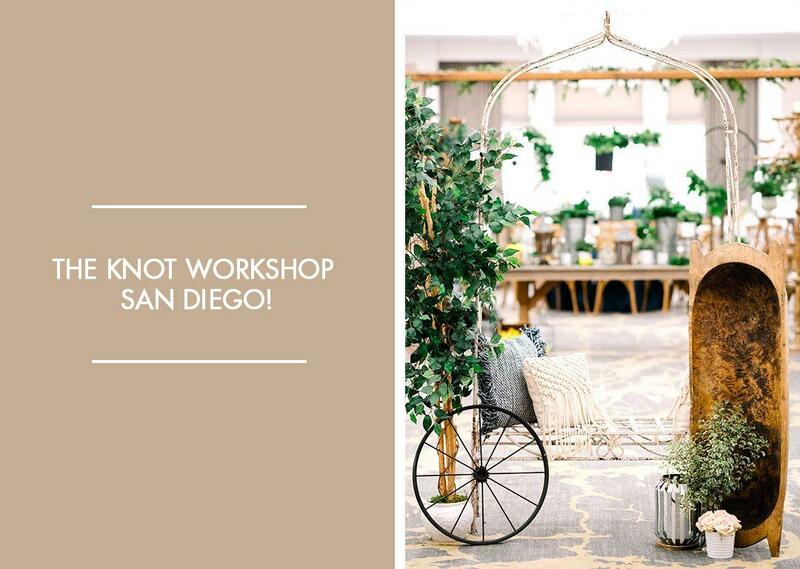 Adding Texture to your Event Design! 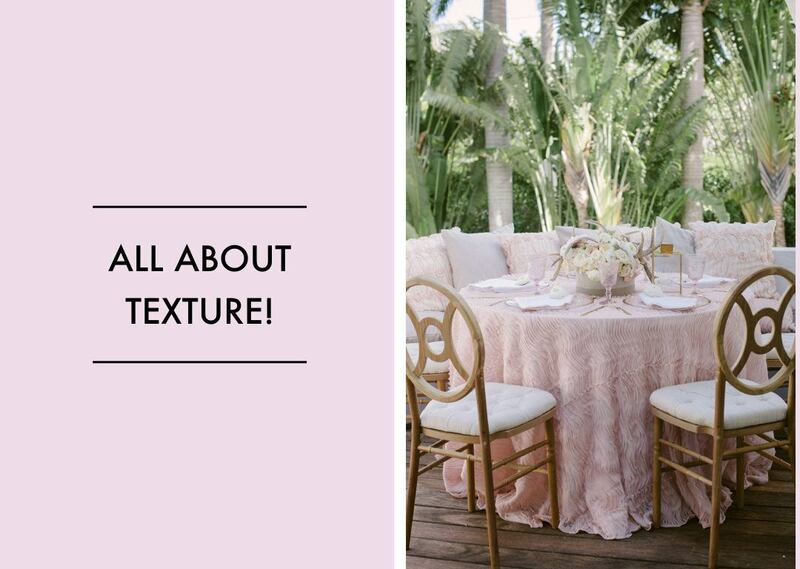 Amp up the volume with our Blush Tulle Wave, our slightly softer take on our traditional Ruffle linen. 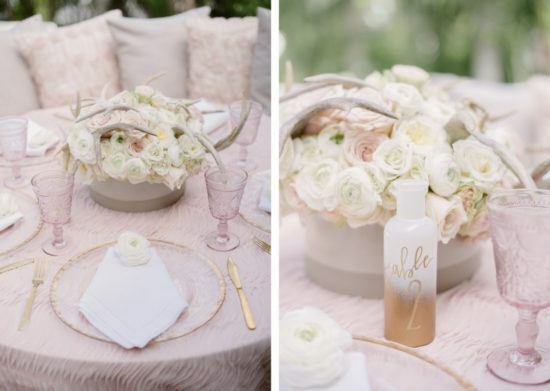 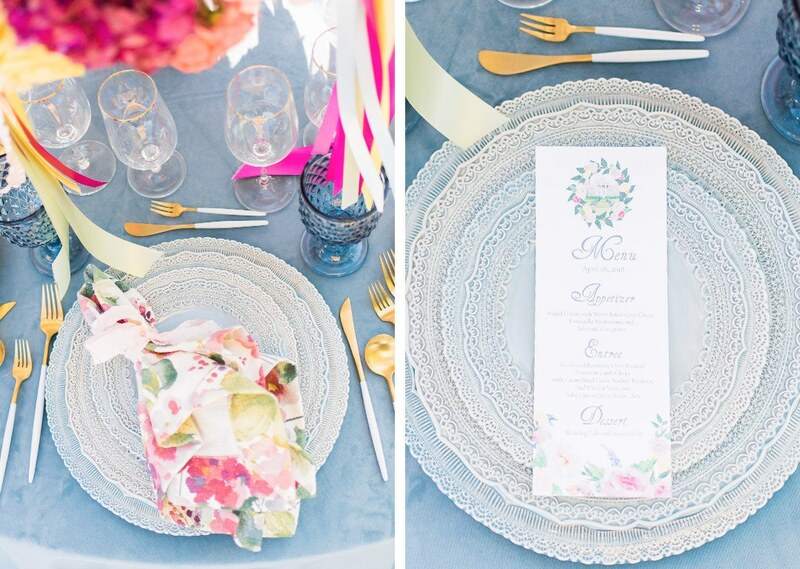 The tulle fabric gives you all the perks of texture while adding a romantic feel to your tablescape. 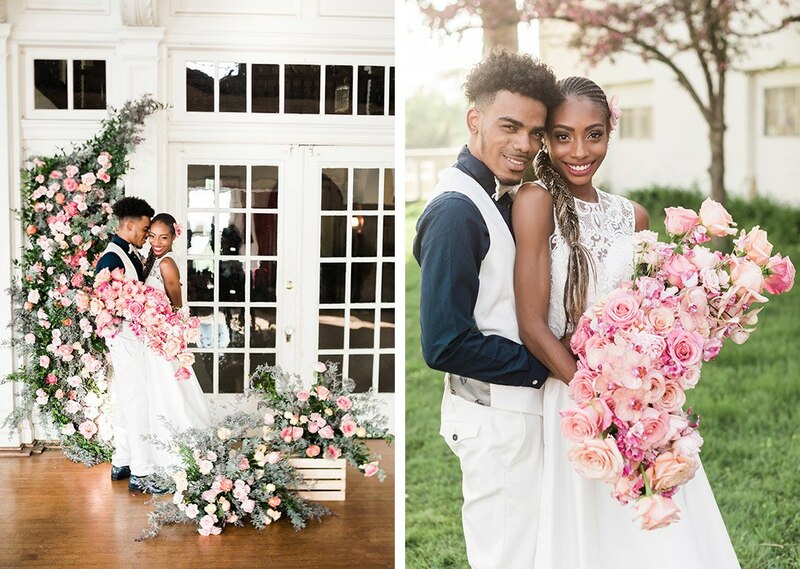 Petal Productions paired it with a beautiful arrangement of roses topped with antler adornment. 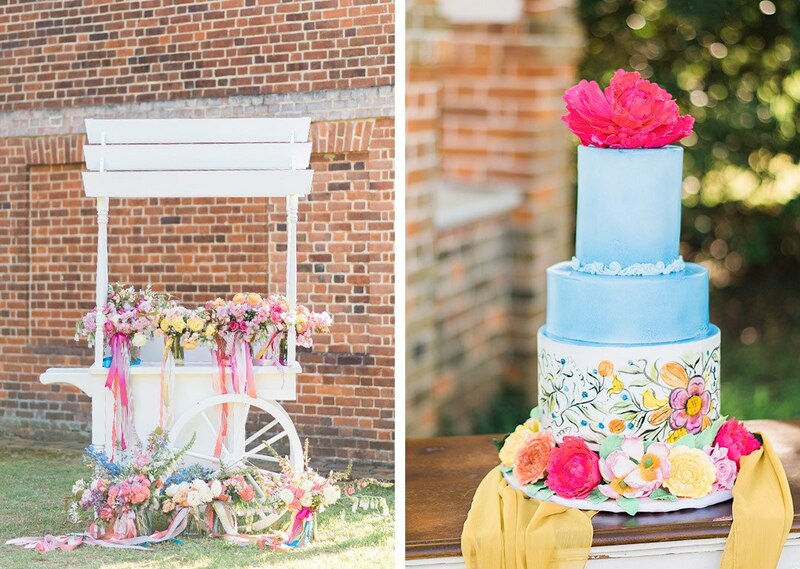 The combination makes for a perfect balance of modern and whimsy! 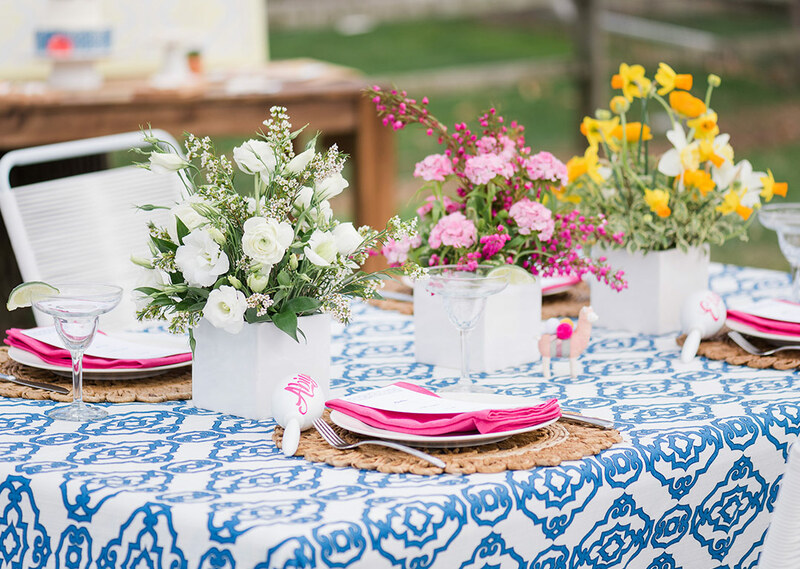 If you’re looking for lasercut, our Rose Iris overlay from the Preston Bailey Collection is the perfect piece. 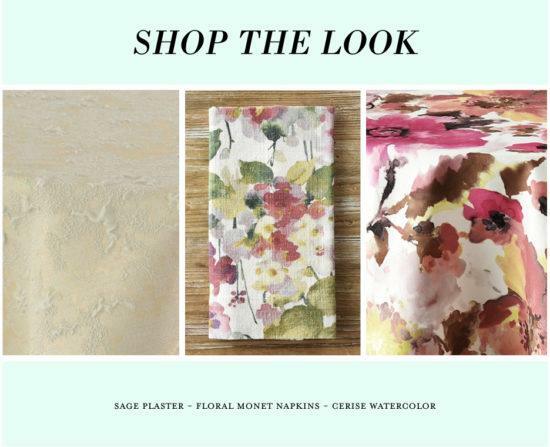 The floral motif shines in its leather-look fabric with just the right amount of gloss. 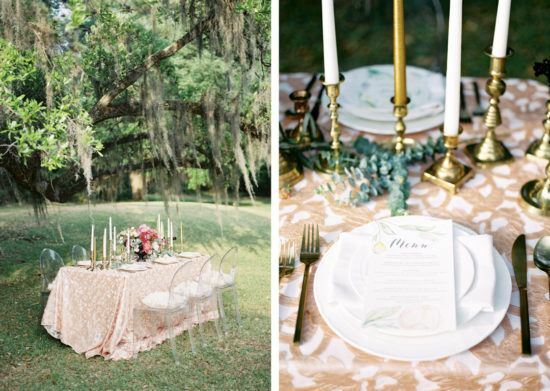 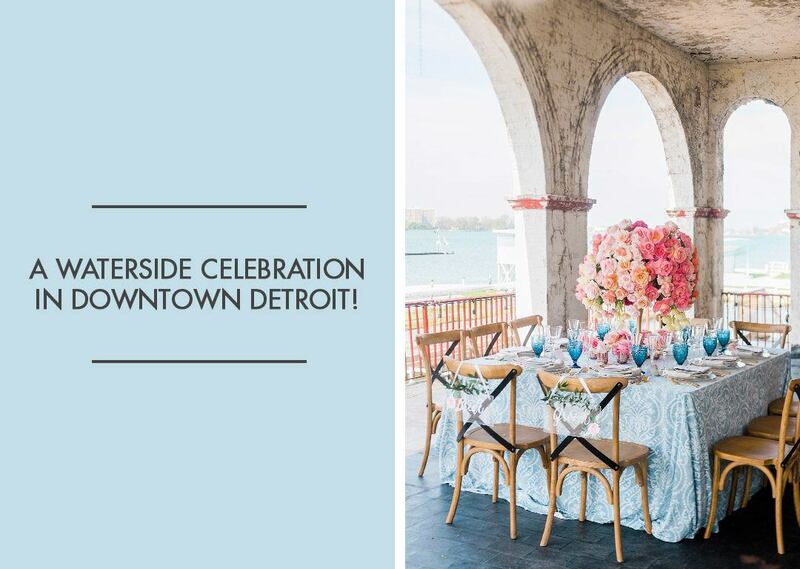 Smells Like Peonies Events paired it with an assortment of antique brass candleholders that cascaded down the table like a runner. 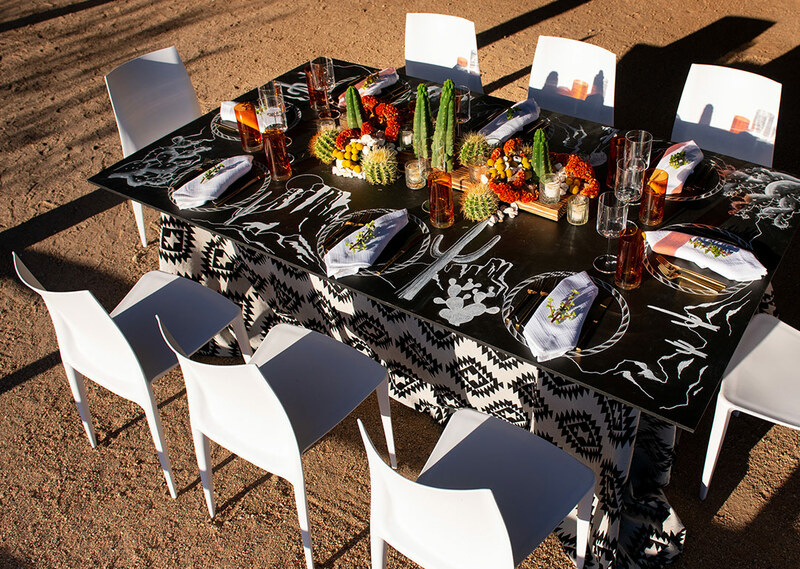 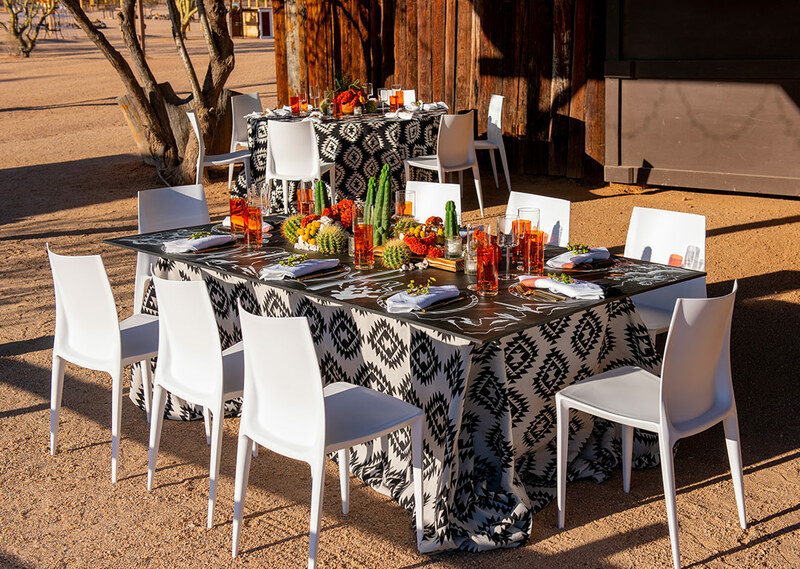 And to keep the look minimal they used clear Kartell-inspired ghost chairs paired with textured pillows, to make guests feel extra comfortable at their seat. 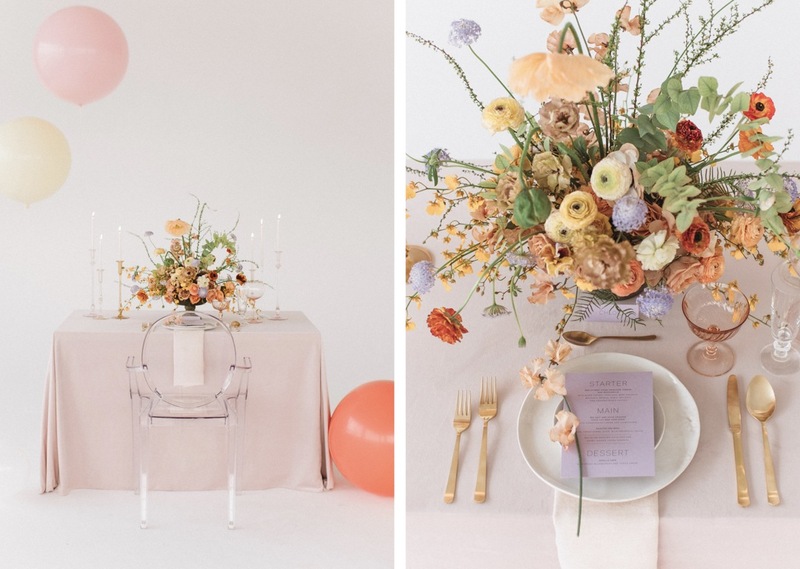 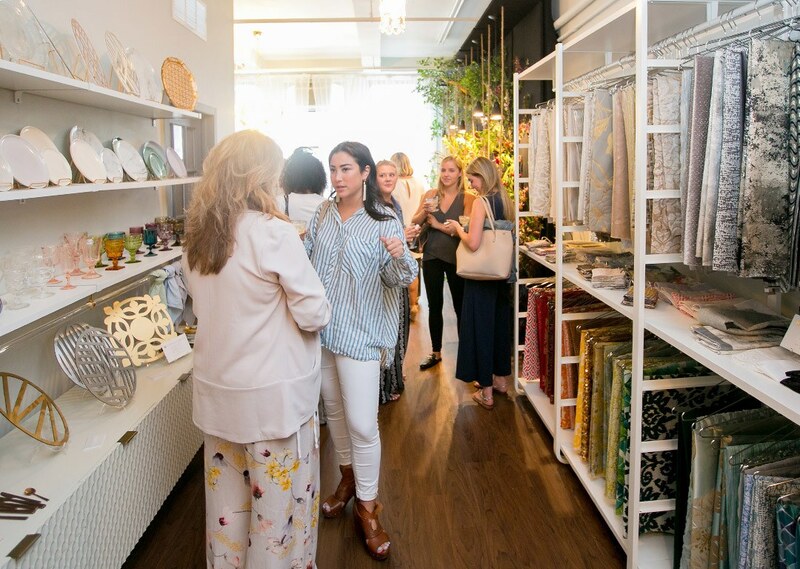 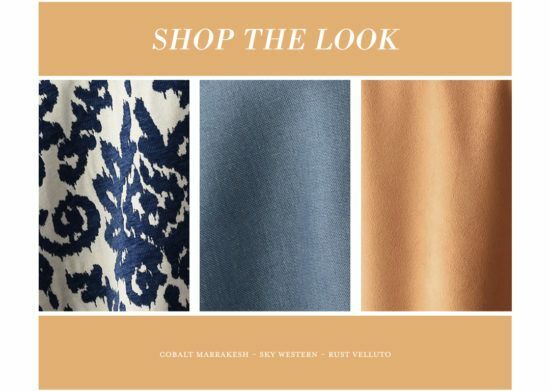 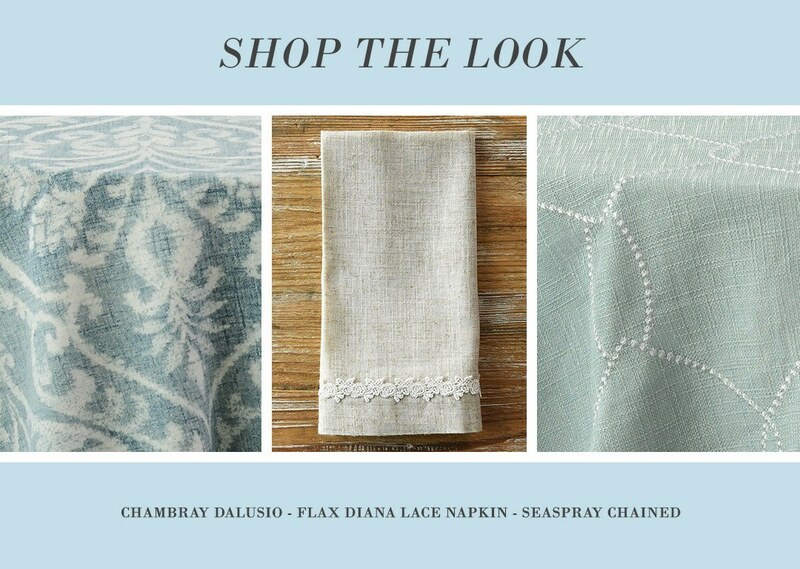 Whether you’re looking for volume in the way of ruffles and tulle, or something that will add a tactile element while laying flat, such as leather and velvet, there’s a linen out there to bring that fifth sense to the party. 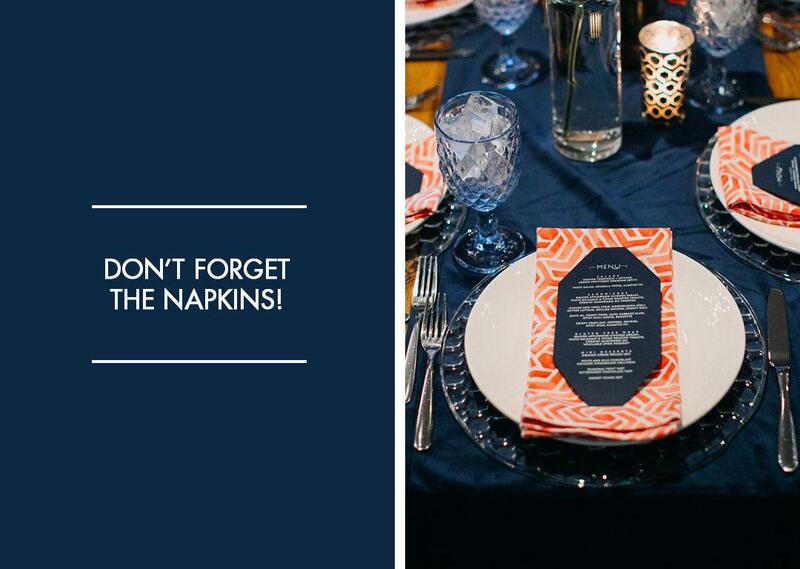 Your guests will be getting touchy-feely before they even realize it!